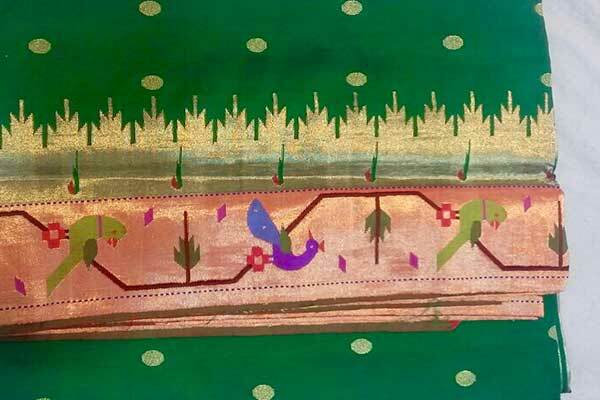 Organised by The Crafts Council of India the ‘Textiles & Accessories’ Show unfolds the sari’s journey – past, present and future. 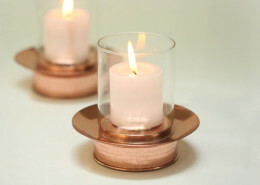 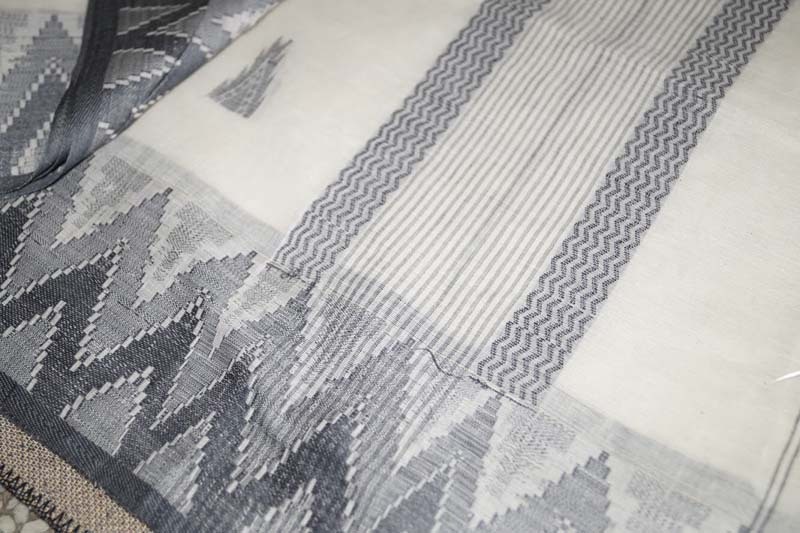 From ancient, pristine and ‘antique’ to eclectic, innovative, ‘revival’ trendy and even edgy. 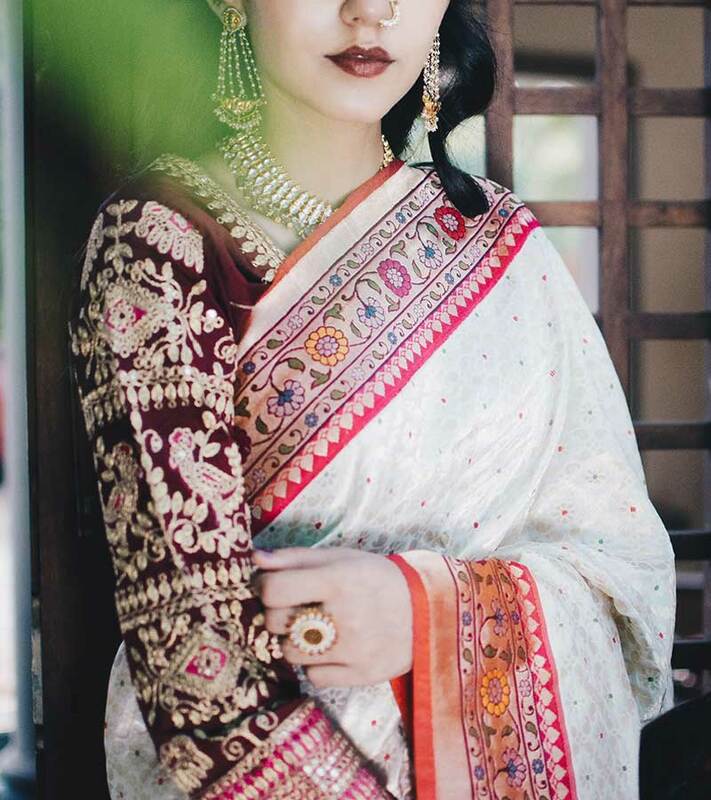 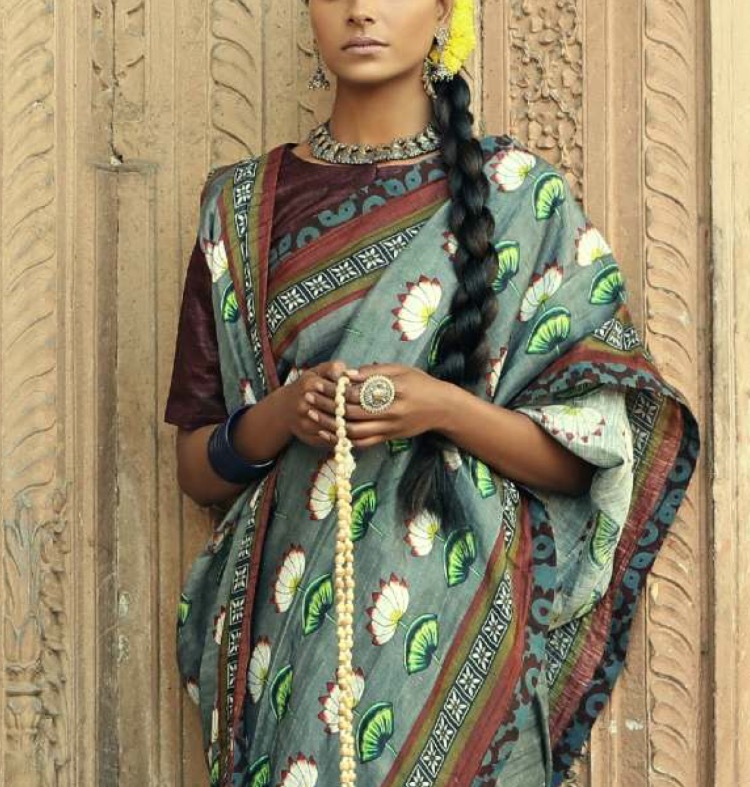 Conceptualised by master artisan, weaver and designer, embellished by the best embroiderers, bead and sequin artisans – each sari is a unique designer statement of traditional or innovative textures, formats, motifs and colour palettes in tune with today’s tastes and lifestyles. 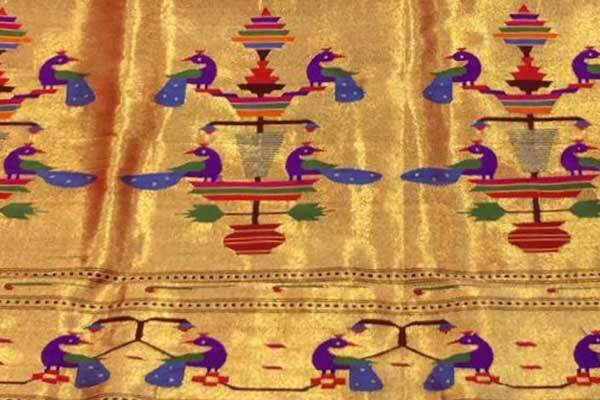 The ‘Textiles & Accessories’ Show carries the universe of India’s textiles and sari culture within it. 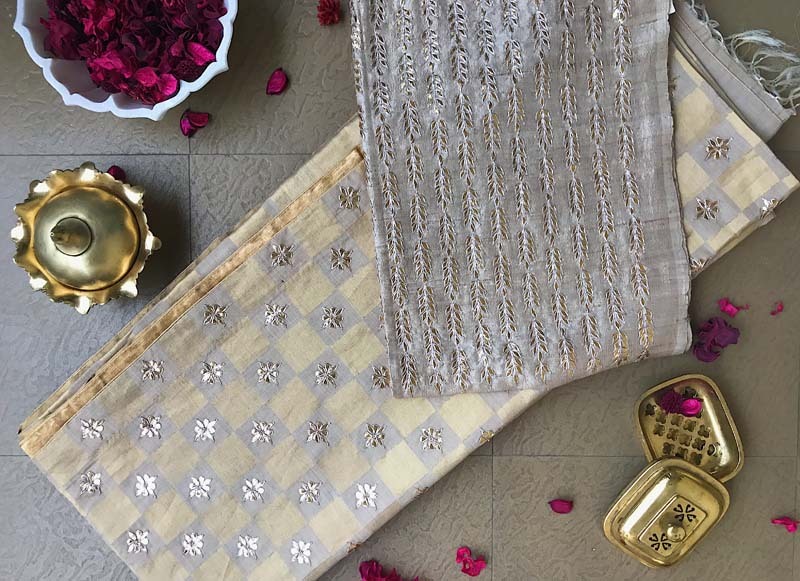 From the simple elegance of khadi, linen tribal handloom or mulmul saris to the timeless beauty of Benares, Paithani, Ashavali, Patola, Jamdani and Mashroo. 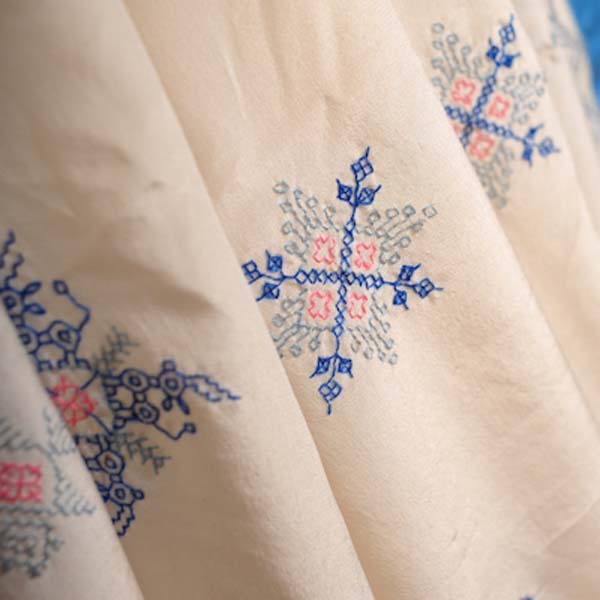 The hand block imprints of Ajrakh, Shibori and traditional embroideries leave their magical imprints in exclusive silks and tussars. 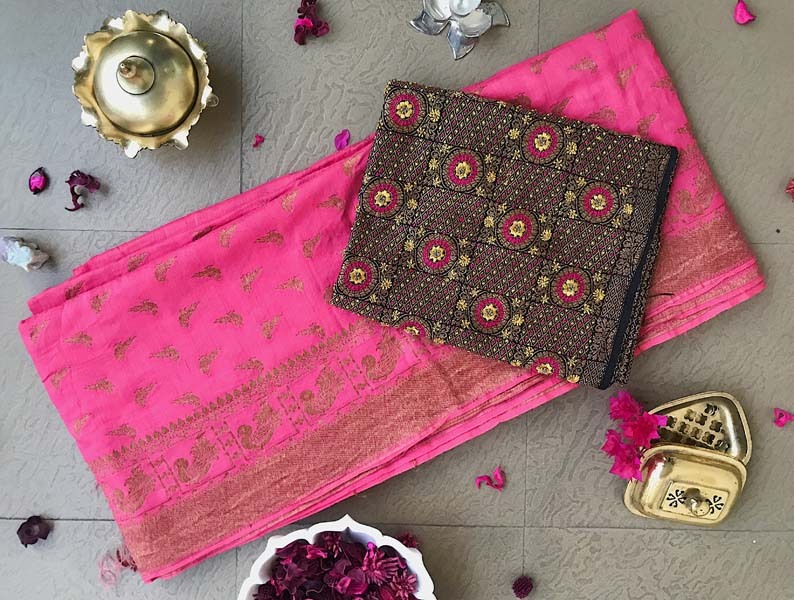 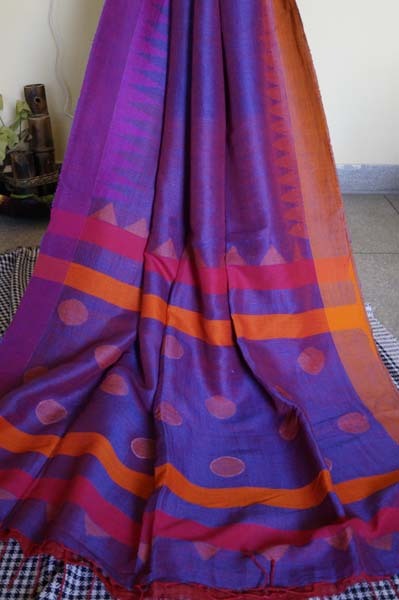 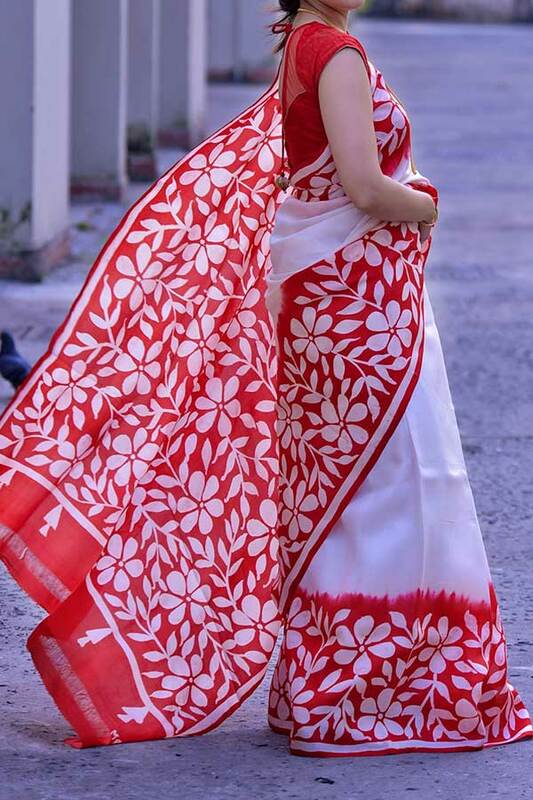 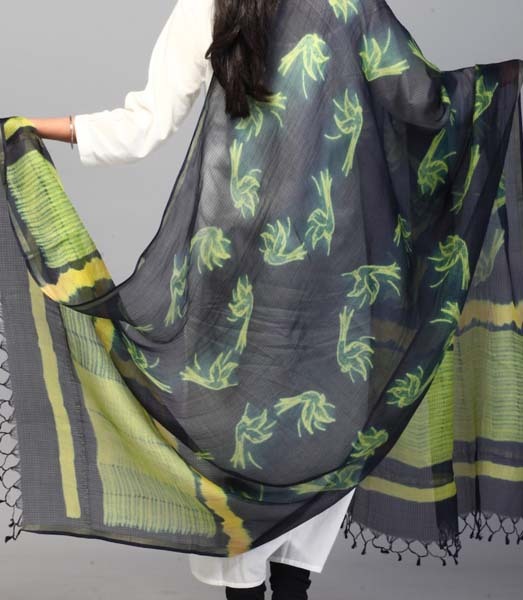 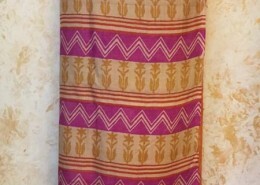 There are unique Pichwai print art saris and much much more for today’s woman. 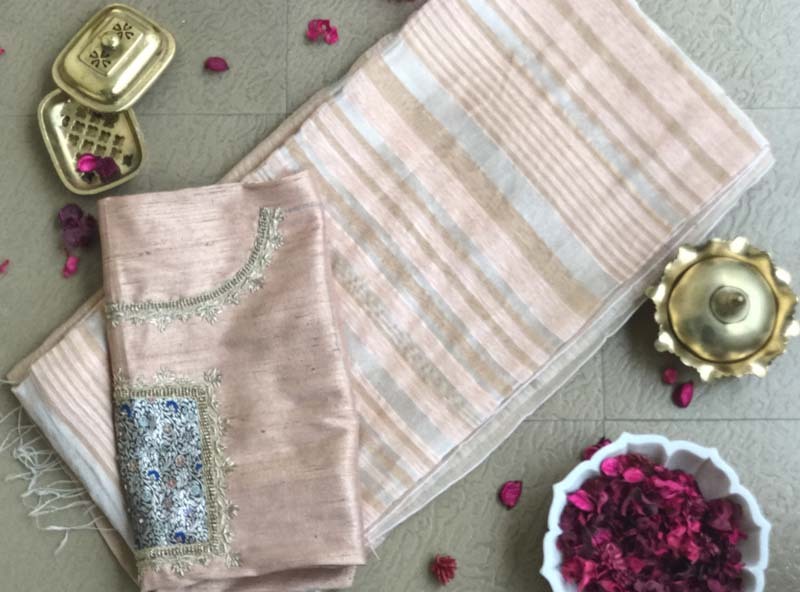 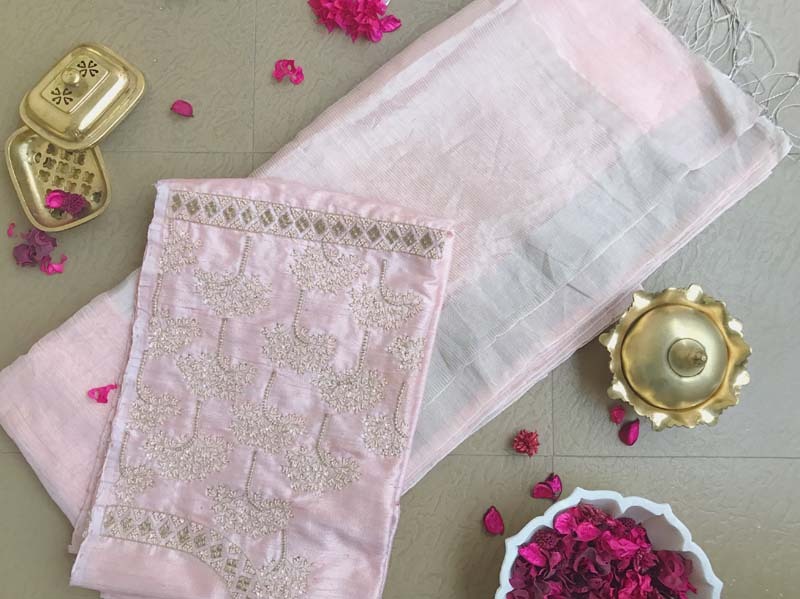 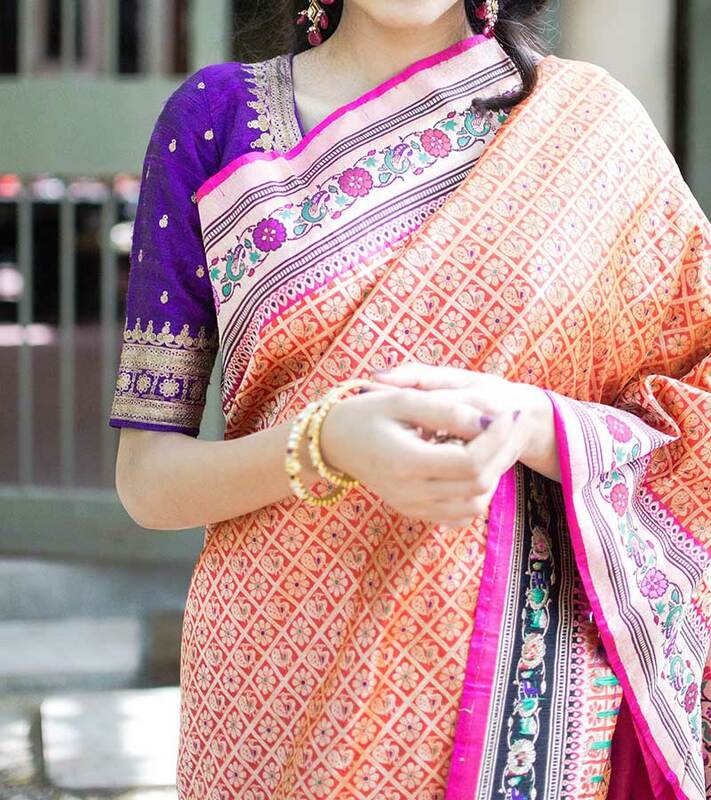 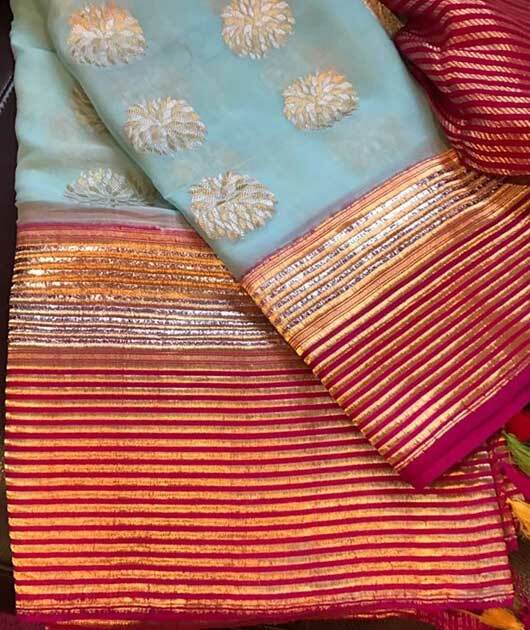 Think Benarasi and think priceless saris designed by Abha Dalmia, and Nilambari; each an art piece of woven textures, gentle colours and breathtaking designs. 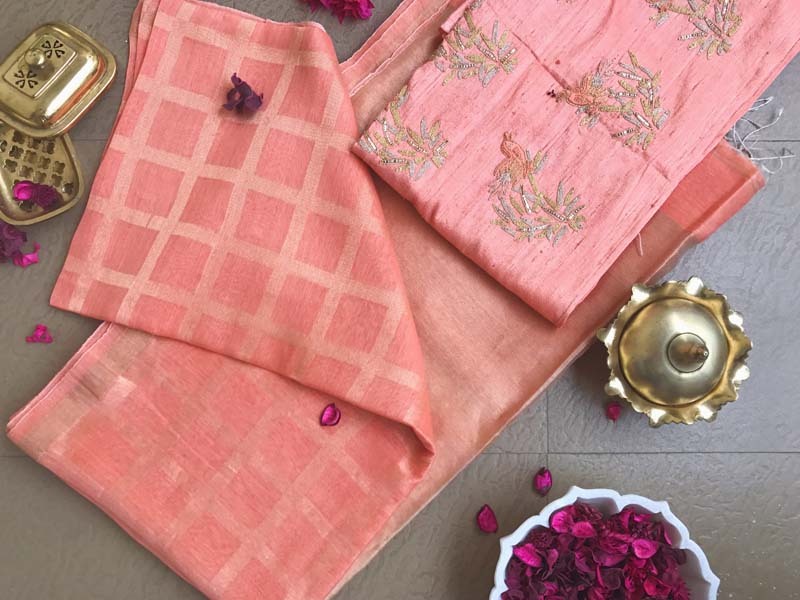 Think Bandhini, Patola and Ashavali and Radhika Chirag Lalbhai, and classical saris come to mind, woven by master artisans and designed by the top in the field of design. 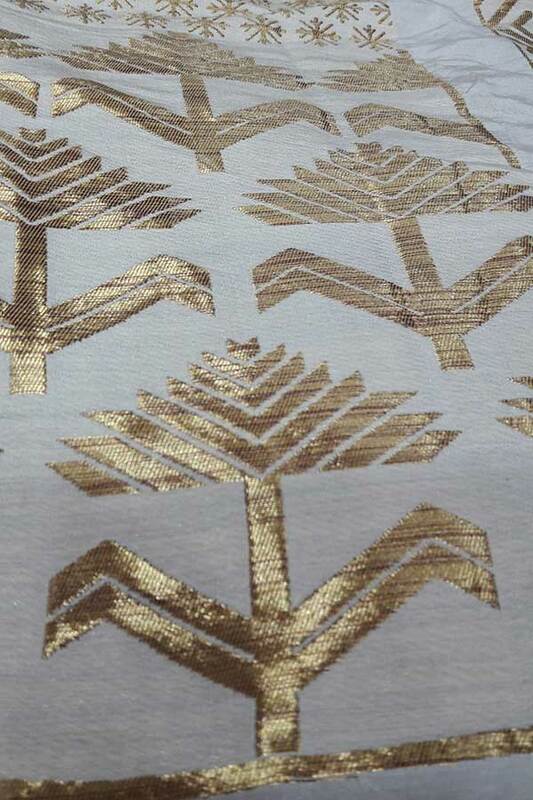 Think Himroo fabrics, glorious Paithanis with their distinctive peacock woven borders, richly textured bodies and glorious gold pallus. 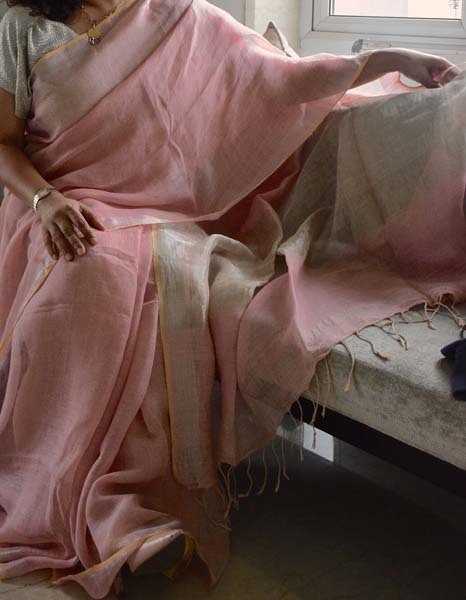 Tina Eapen’s linen and khadi saris, Manas Ghorai’s distinctive tribal handloom saris, Vanivrtti’s treasure chest of tussars and cotton ikats from Odisha and Bidisha’s collection of contemporary kantha and batik saris which complete the picture of festive wardrobe choices. 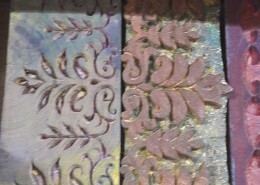 And there is much more on display. 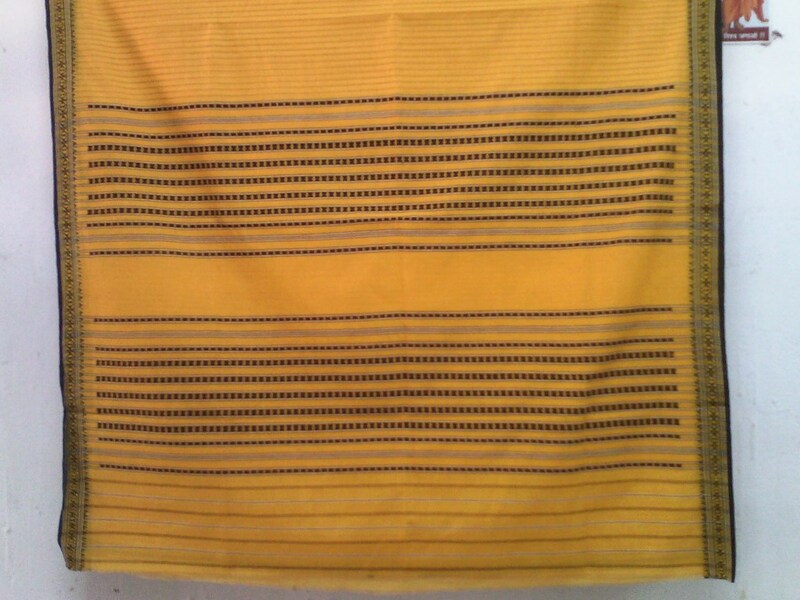 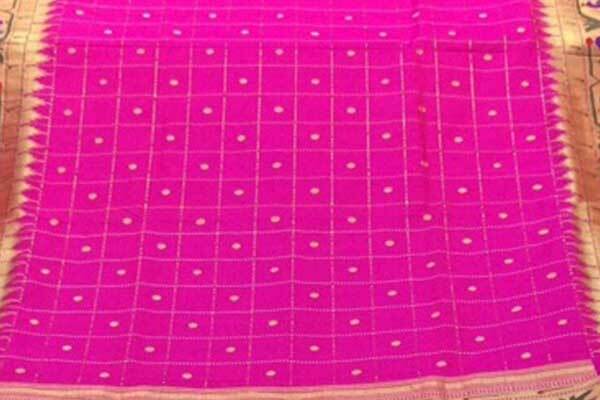 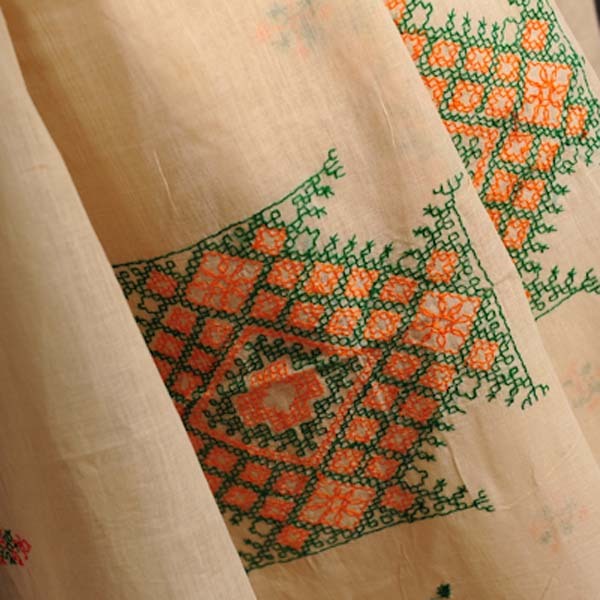 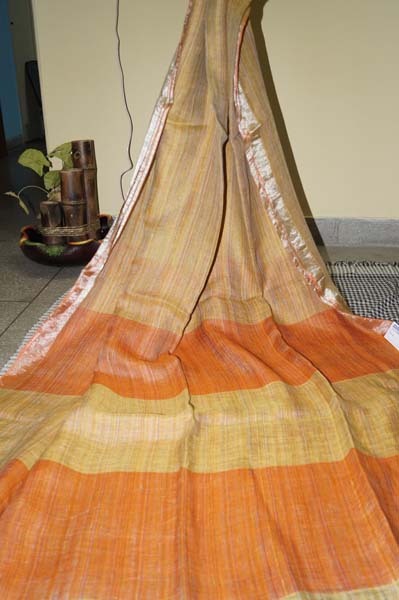 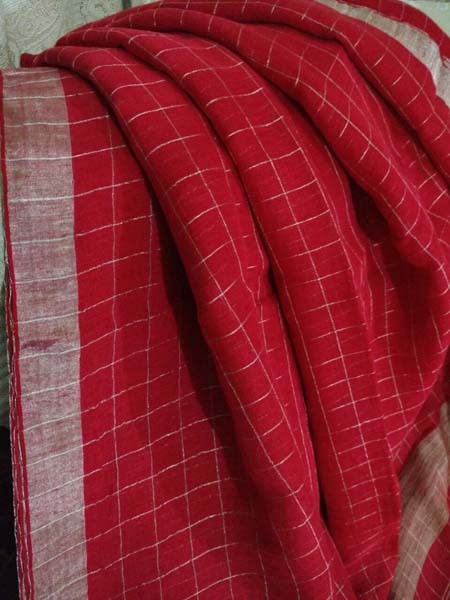 Value added matka, linen, muslin and jamdaani saris as well as a wealth of Maheshwari, Chanderi and Chattisgarh saris. 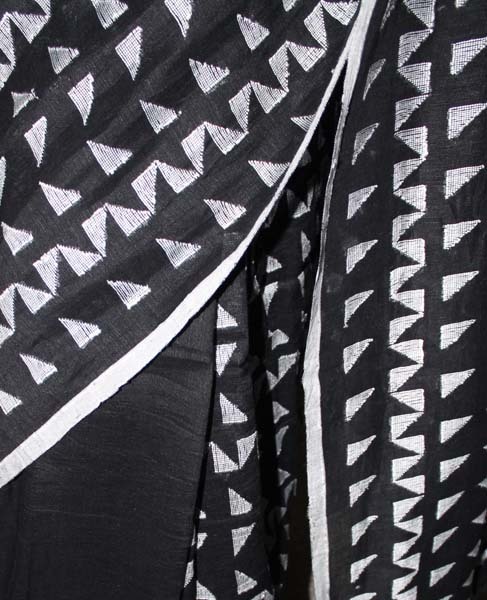 Among the hand block printed saris, Abdul Rahim Khatri’s Ajrakh handloom prints make priceless statements. 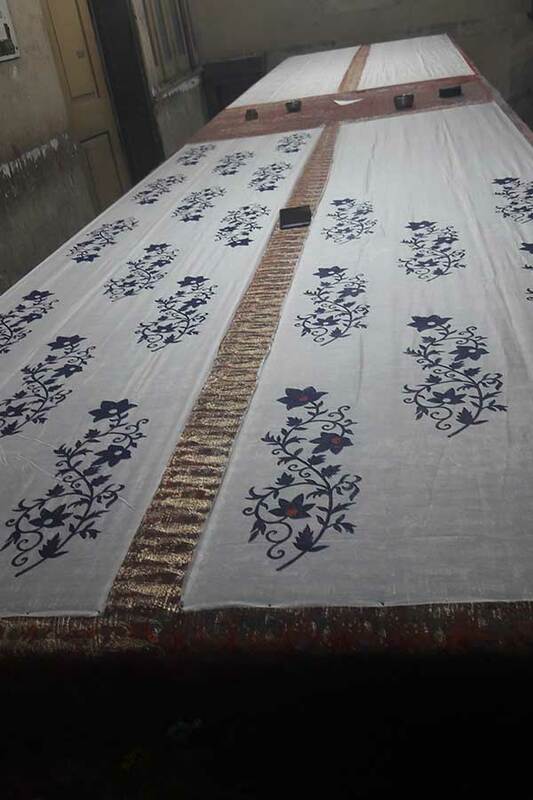 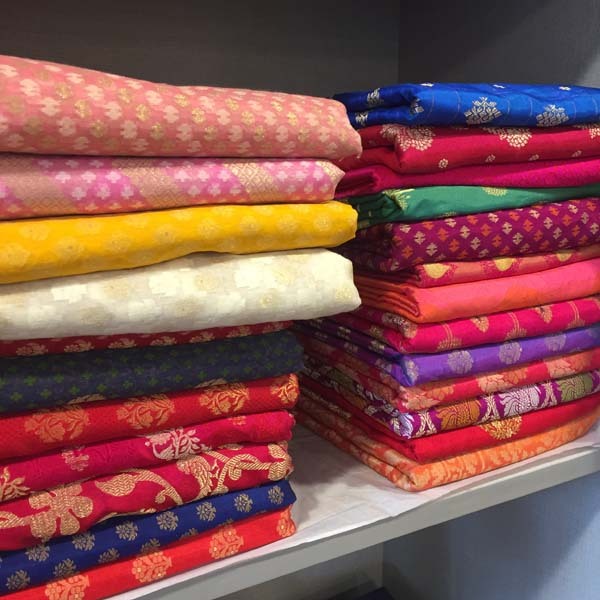 For the more casual festive look there is a vast array of kurtas, dupattas and kurtis in cotton tussar and silk, many of them embellished with embroidery, cutwork, beads, etc. 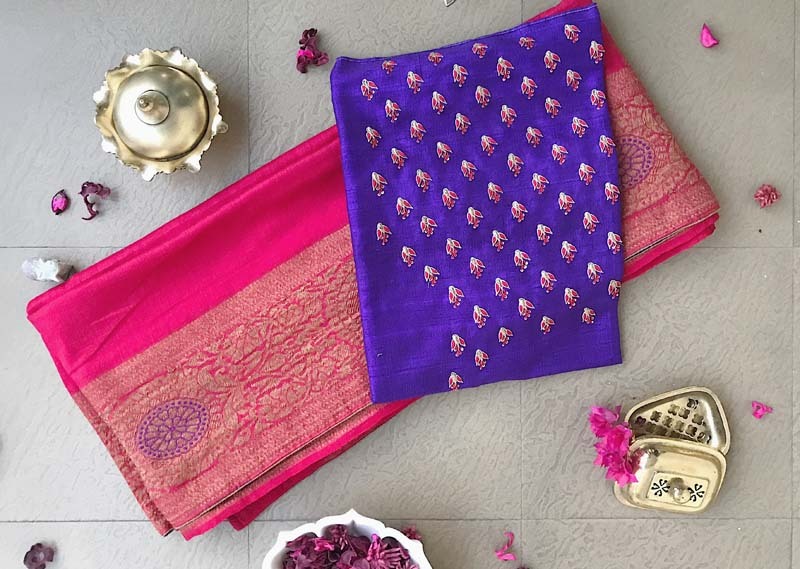 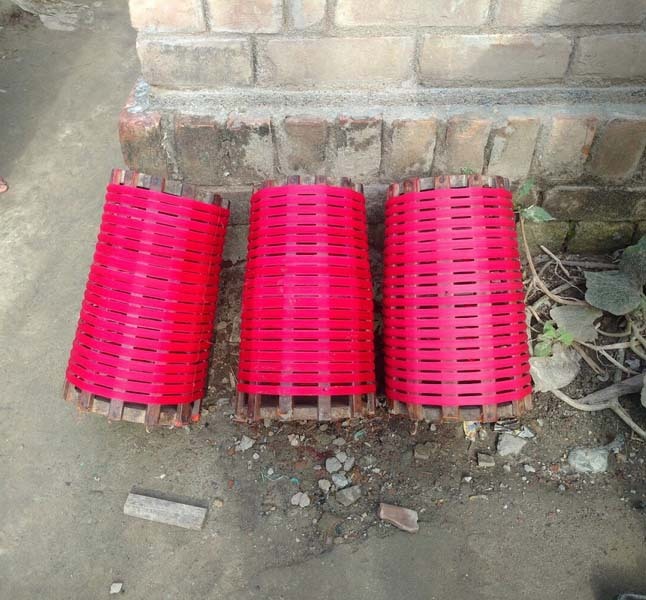 Beautiful cholis set the style tone in more ways than one…. 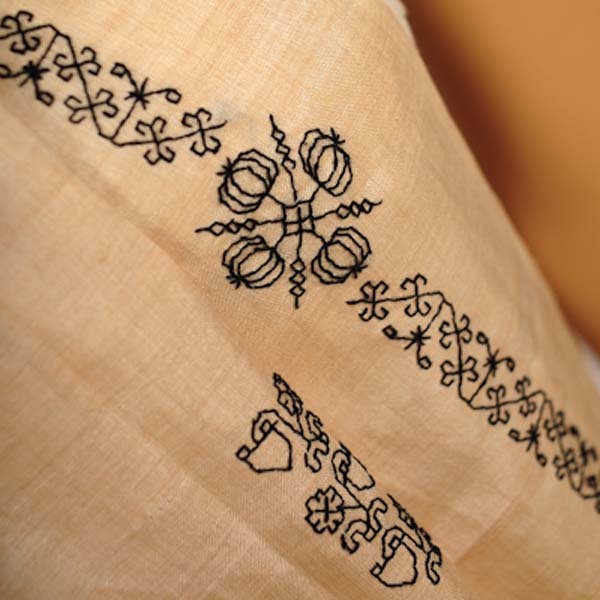 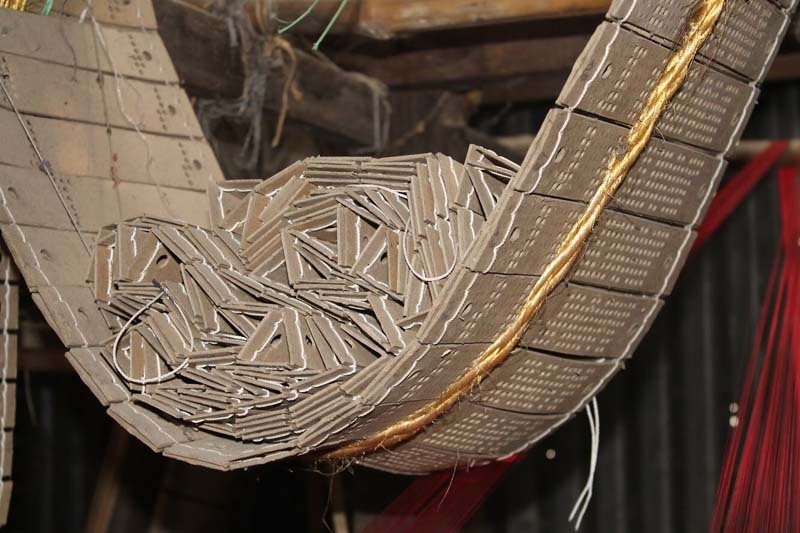 The Crafts Council of India is a voluntary not-for profit NGO working for the sustainable growth and development of India’s crafts and craft artisans. 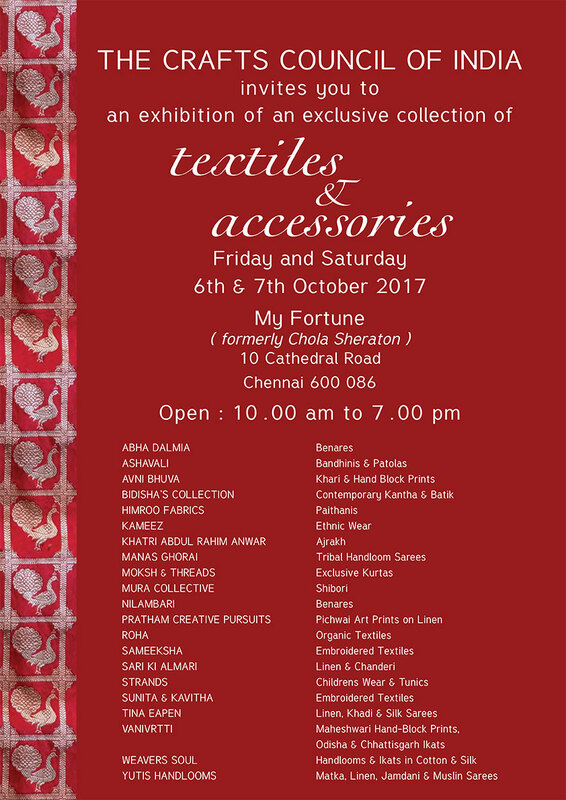 The ‘Textiles & Accessories’ Show will be on view at Hotel My Fortune, Cathedral Road, Chennai on the 6th & 7th October, 2017 from 10 am – 7 pm. 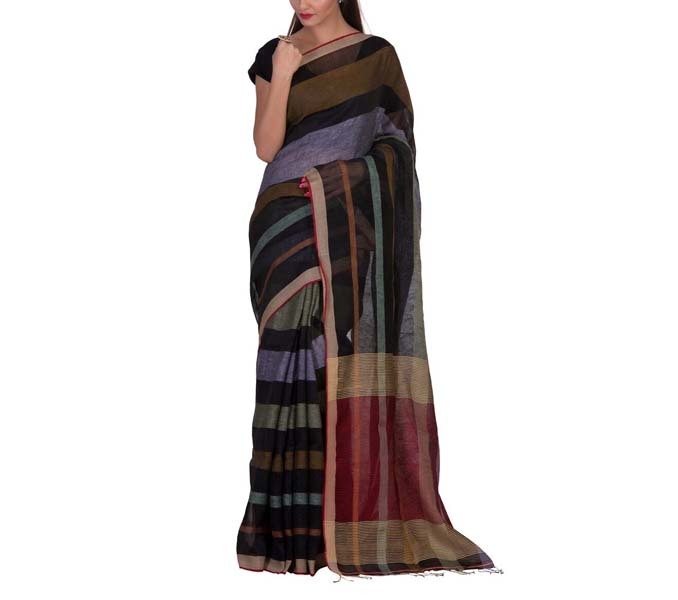 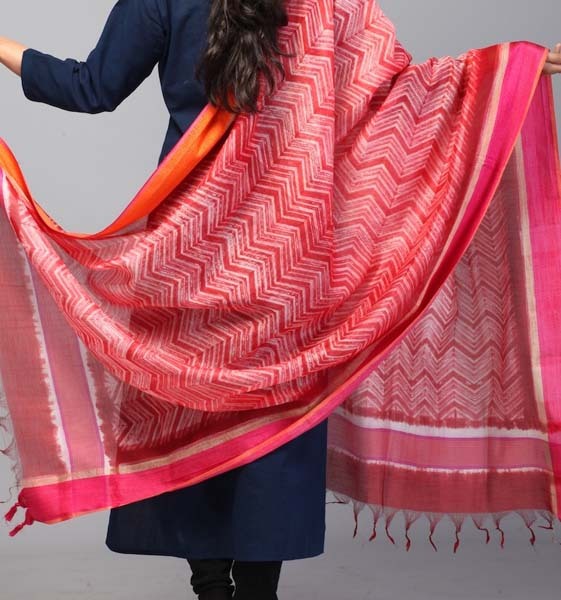 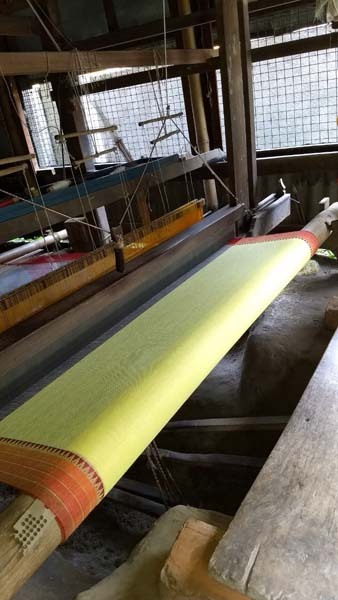 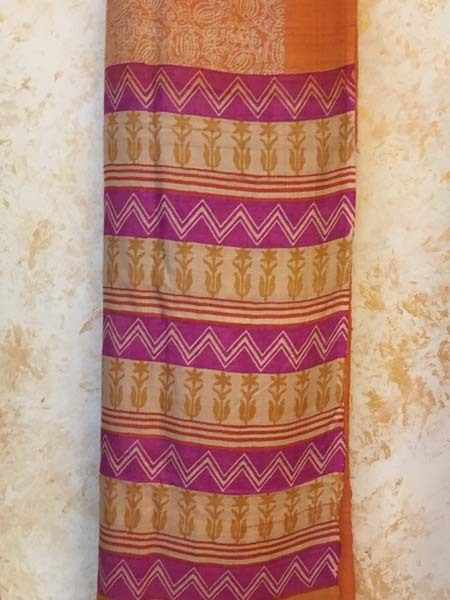 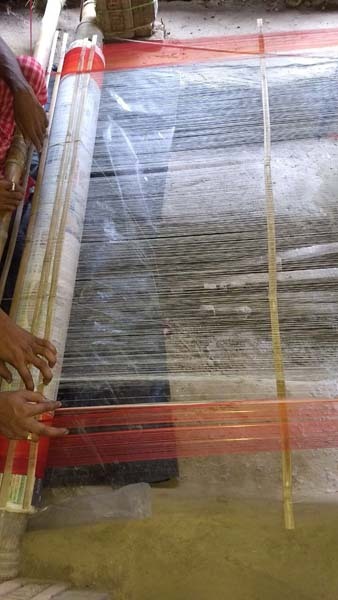 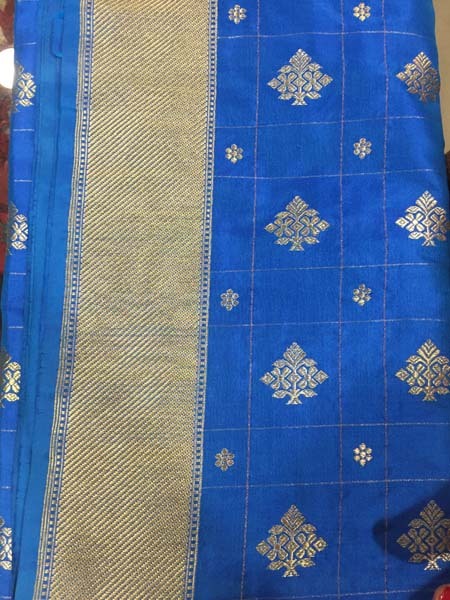 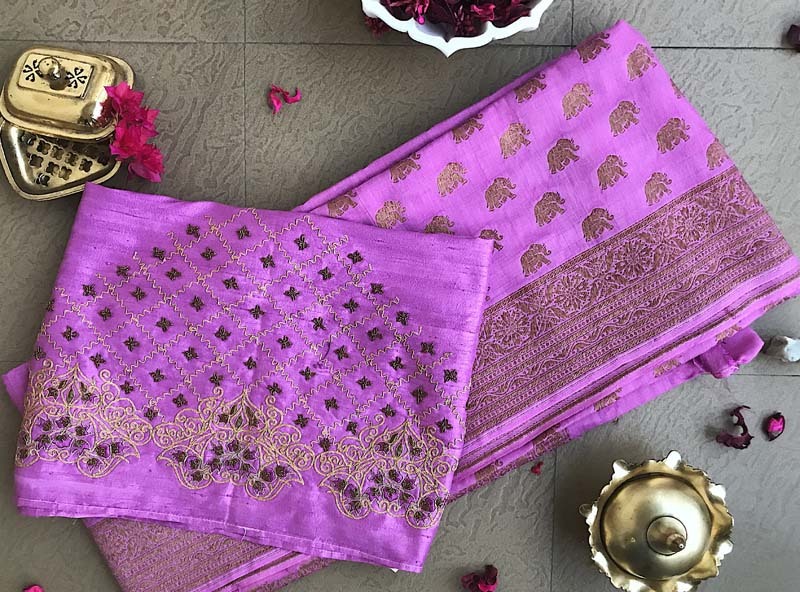 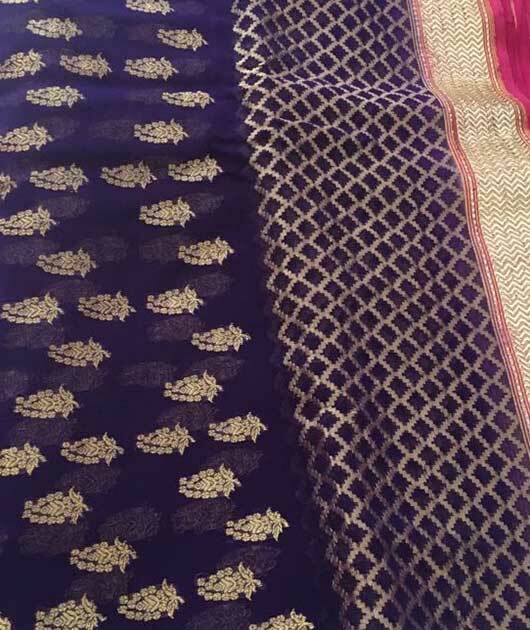 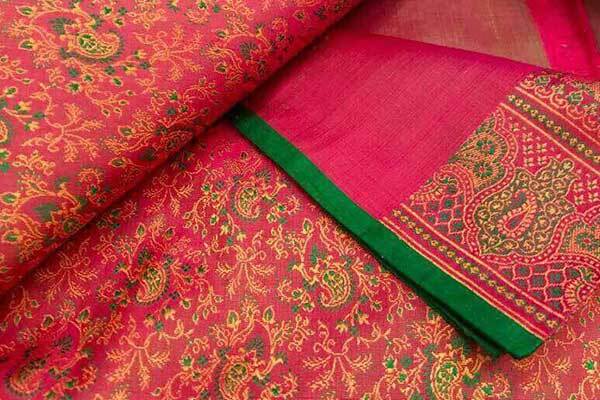 Yutis Handllooms introduces saris showcasing the excellent weaving skills of Phulia weavers, along with linen, mulmul, gheecha, matka tussar and silk saris, dupattas and stoles. 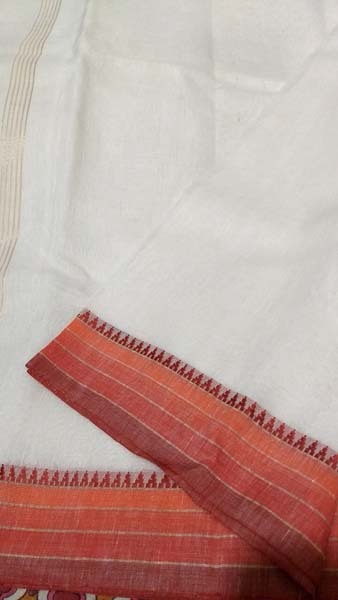 Look out for saris in pure cotton with ‘naksh’ border, matka and tussar silk body with jamdaani work on pallu, hand jamdaani 100 count linen saris, and other fascinating textile excitement. 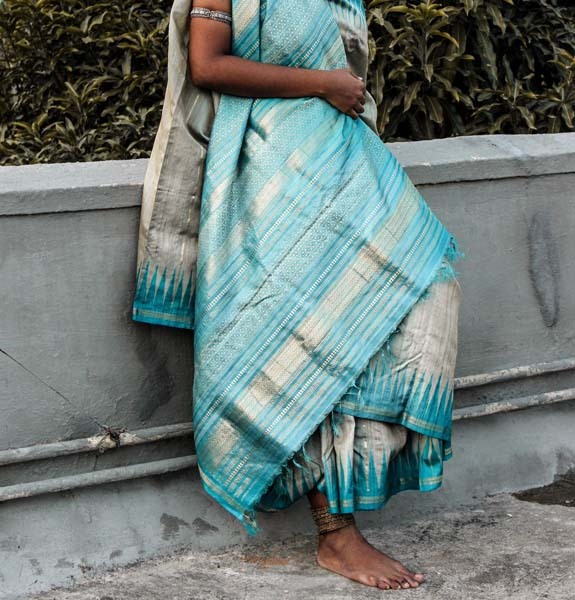 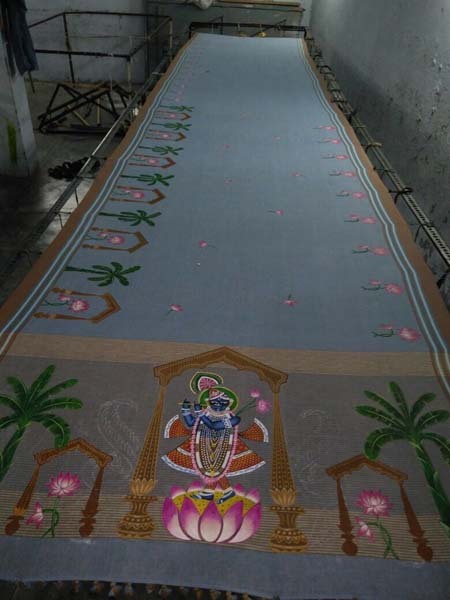 Vanivrtti is about handcrafted saris from different parts of India. 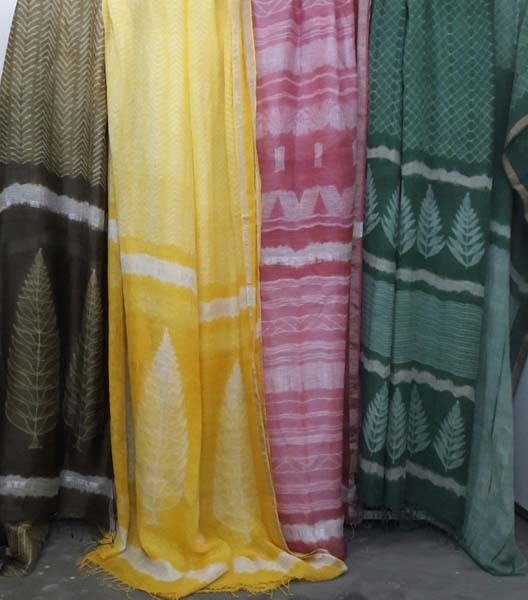 The collection comprises textured gold threaded silk ‘jaala’ tussars from Odisha and Chattisgarh, vibrant cotton ikats from Odisha and hand block printed Maheshwari saris with fascinating block designs. 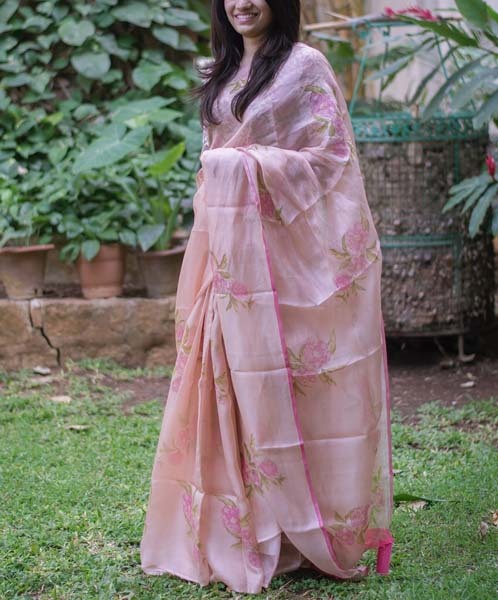 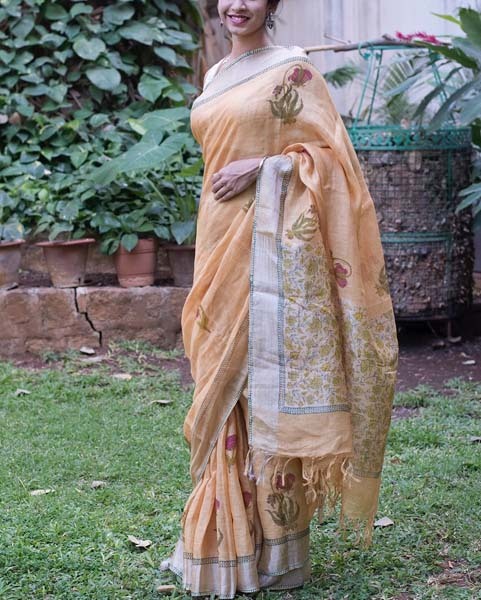 Pollution free khadi, linen, Kota silk saris in natural colours and embellished with soulful vintage English flowers and a touch of delicate embroidery. 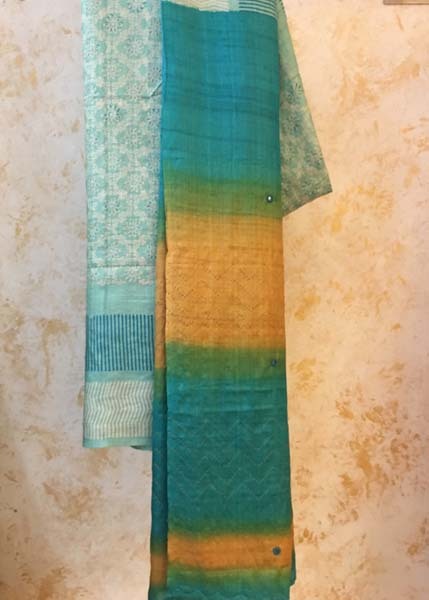 Light and comfortable linen saris in pastel shades, and traditional Benaras ‘moonga’ silk saris in vibrant colours teamed with blouses embellished with zardosi, dori and thread embroidery – with a modern twist. 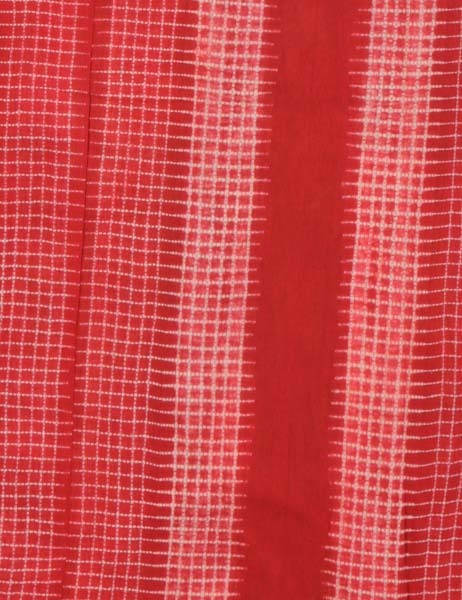 Stylish tunics and children’s wear in bright inviting colours form the Strand collection. 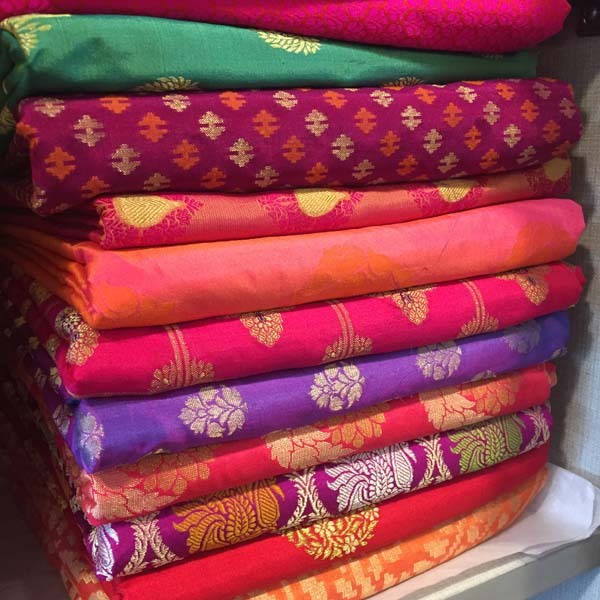 Open the Sari Ki Almari and delve into a collection of linen saris, luminous Chanderis and colourful Bengal cottons. 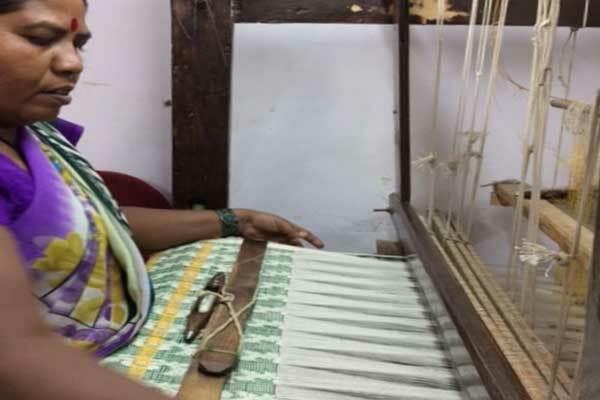 Women artisans across Karnataka have worked with Sameeksha to embroider exquisite motifs in Kasuti, Negi and Lambani on saris and dupattas in handloom cotton, tussars, mangalgiri, gadwal, maheshwaris and ilkals. 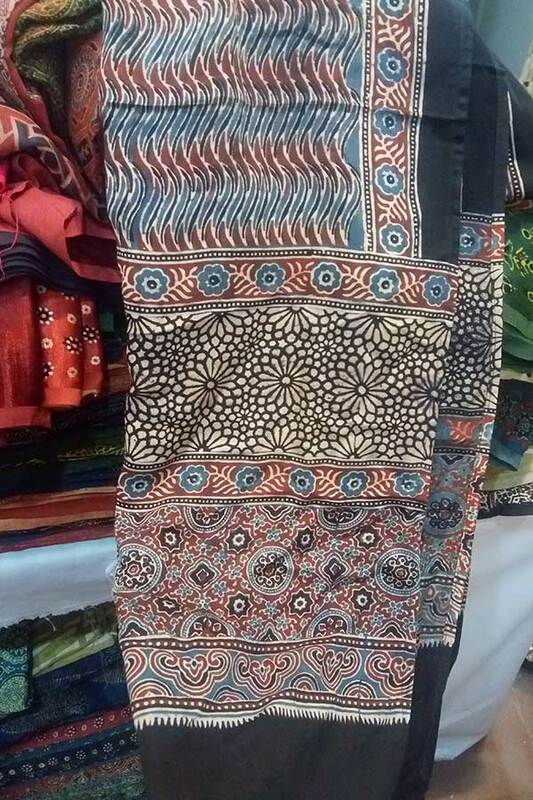 This is breaking textile news. 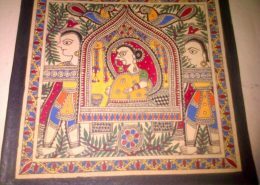 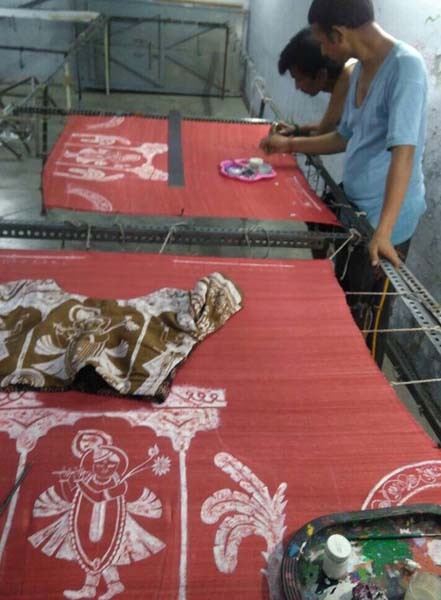 Handpainted Pichwai art done on saris by the traditional artist of Nathdwara temple in Rajasthan, Pichwai art on West Bengal jamdaani saris, and Pichwai art hand block prints on linen and cotton saris! 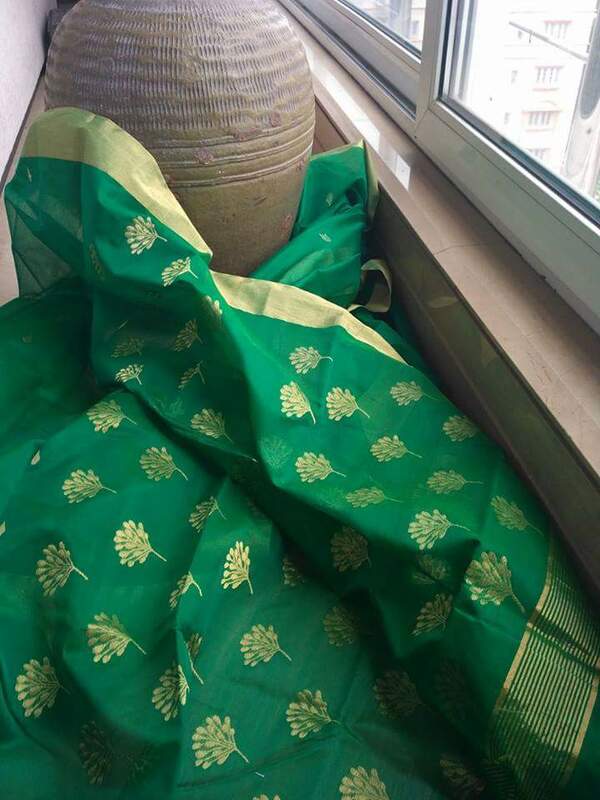 This has been brought to Chennai for the first time. 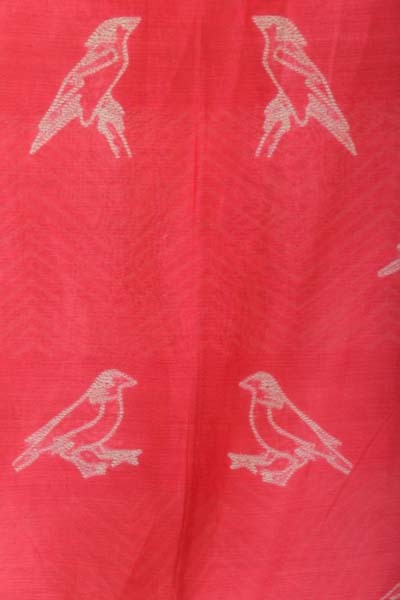 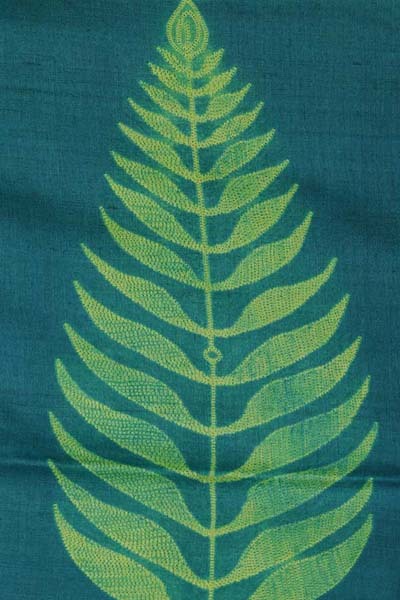 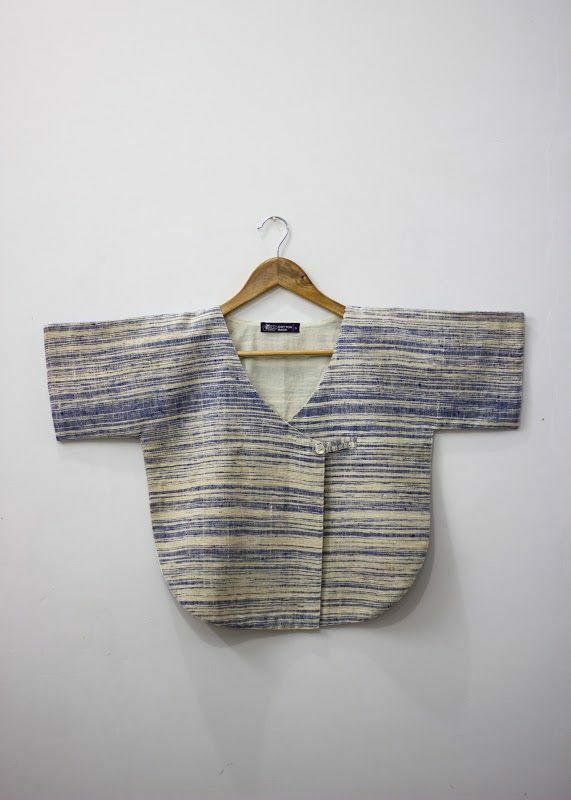 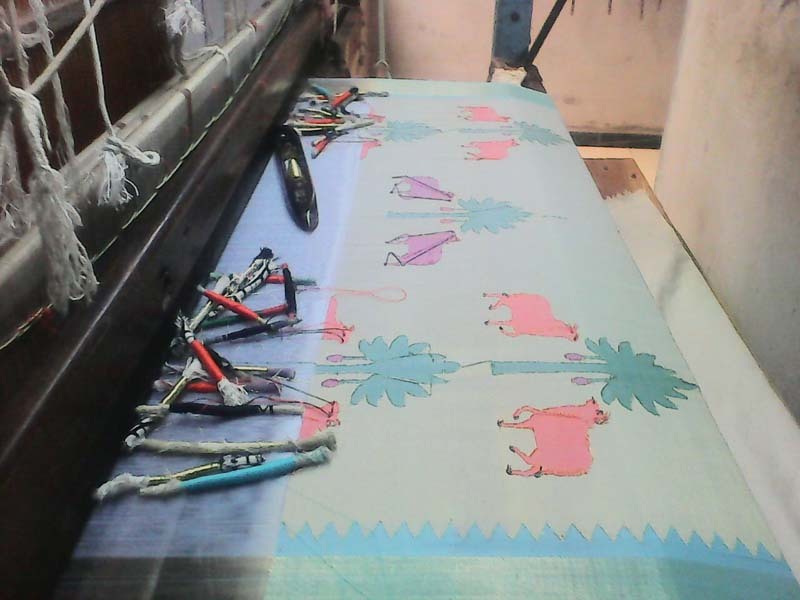 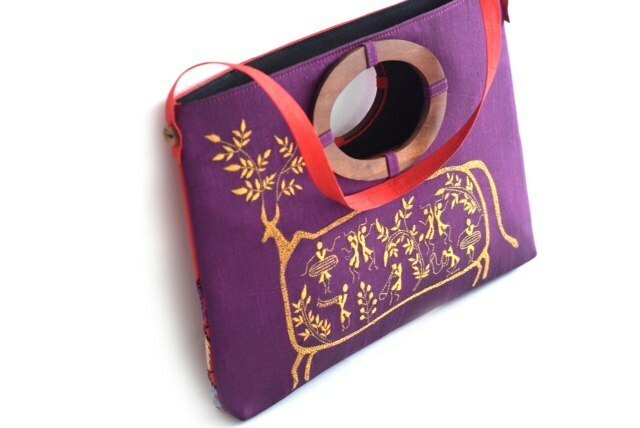 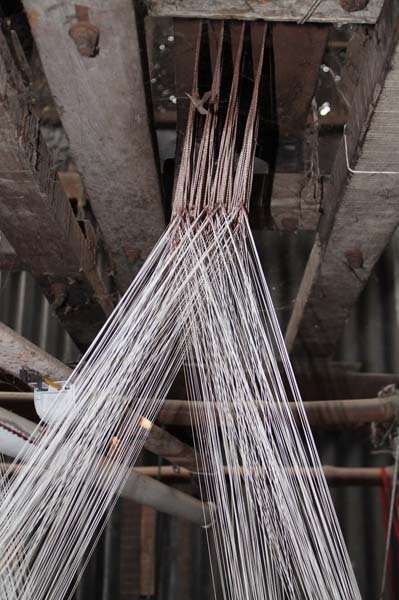 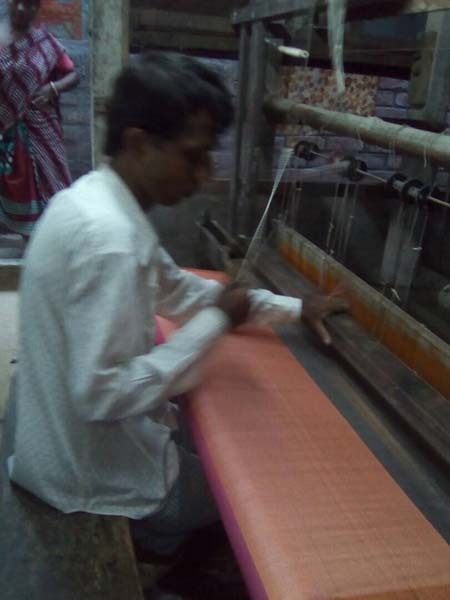 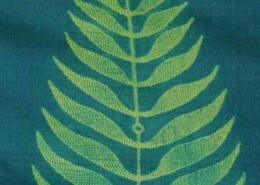 Pratham’s other creations include handloom, linen and cotton saris from West Bengal and Ajrakh block prints on linen. 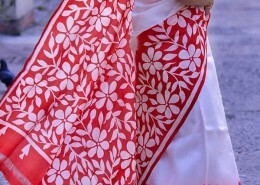 Exquisite one-of-a-kind cotton saris from Benaras with beautiful ‘revived’ motifs and weaves are their very special USP. 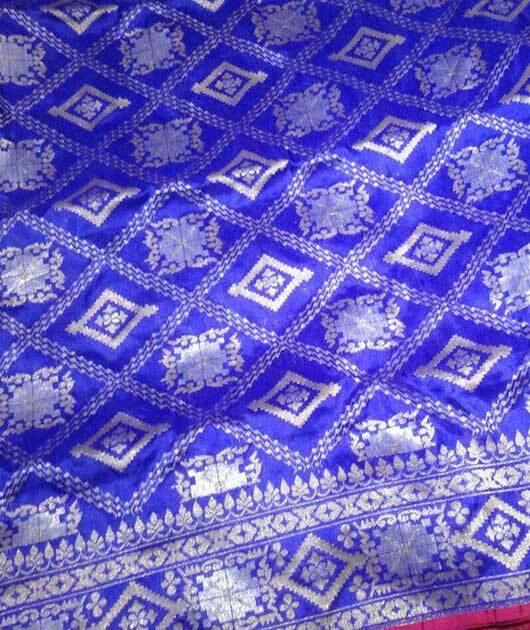 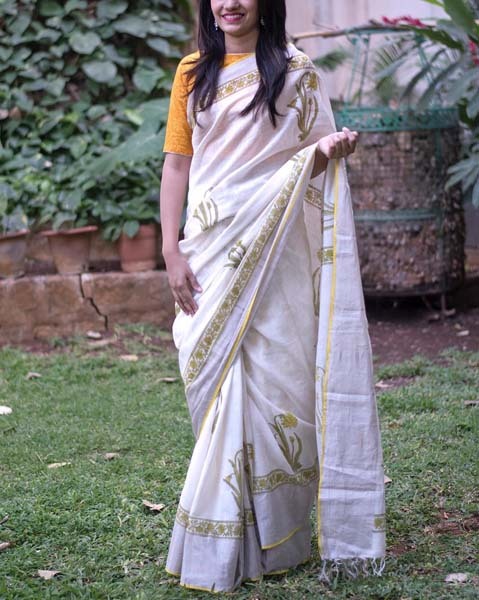 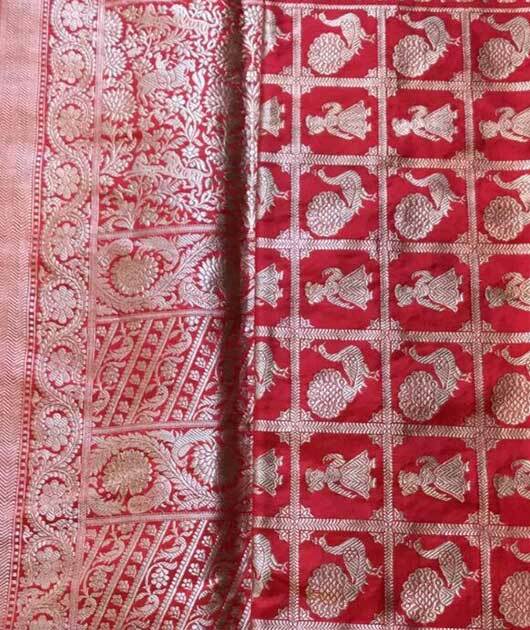 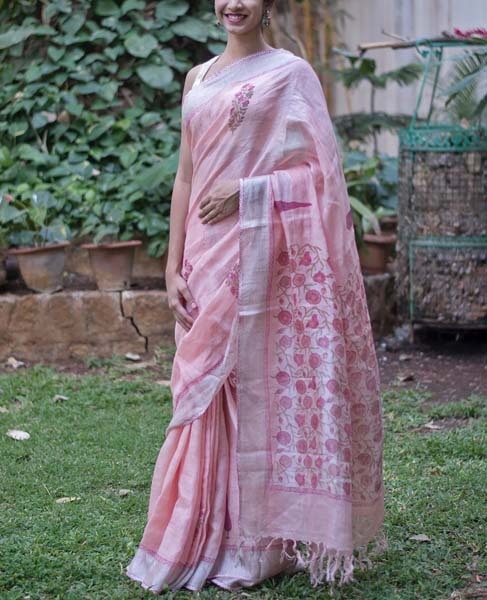 Using the jamdani technique as well as a touch of zari each Nilambari sari is a specially created piece of heritage carrying within its folds ‘the inaudible whispers of imprints going back centuries’. 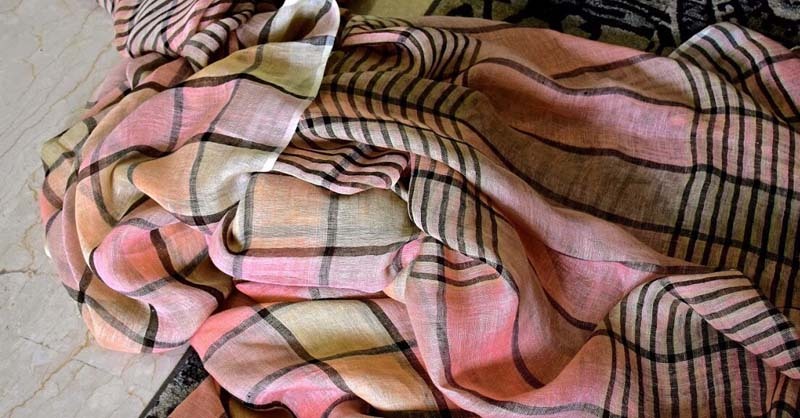 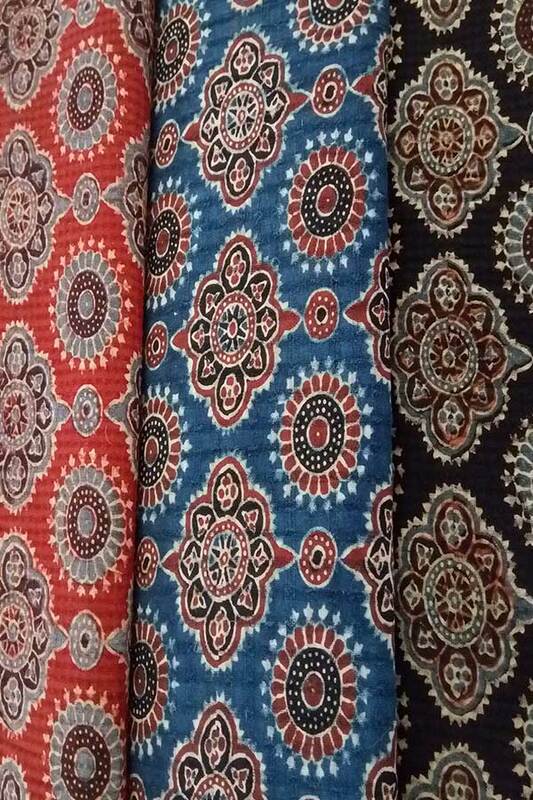 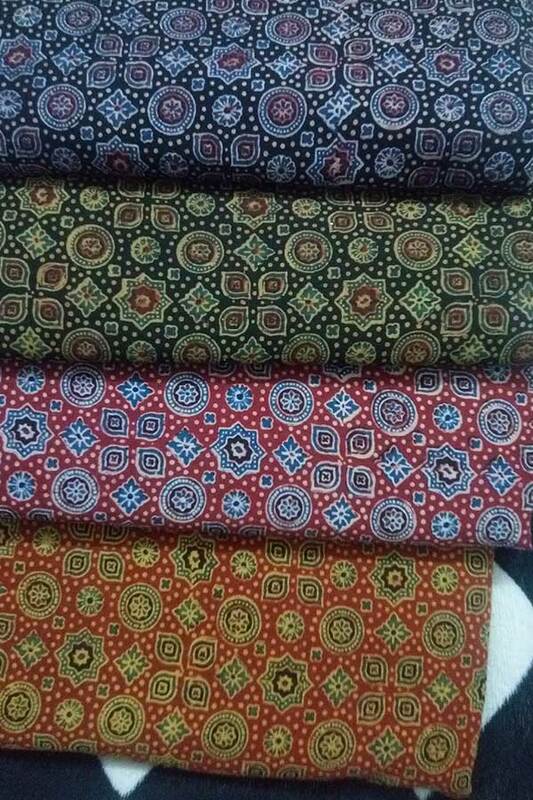 Mura brand name known for its unique designs, quality, rare colour combinations and stunningly beautiful textile products such as saris, dupattas, stoles and shawls. 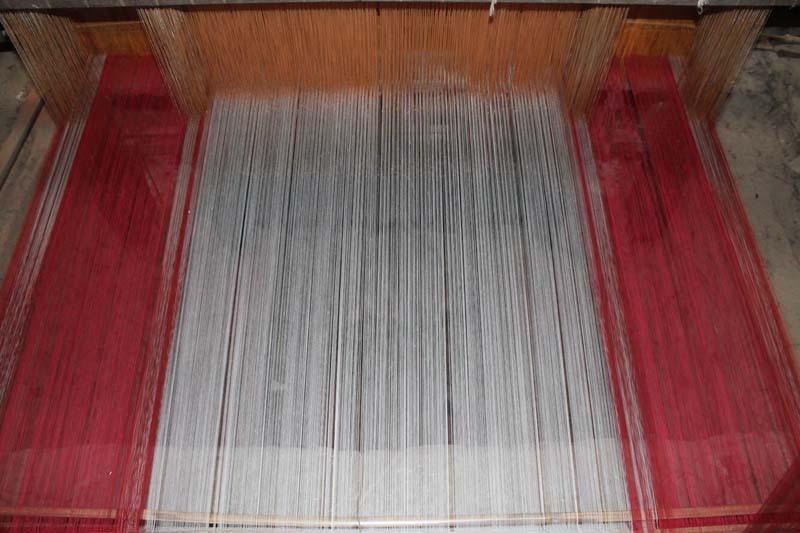 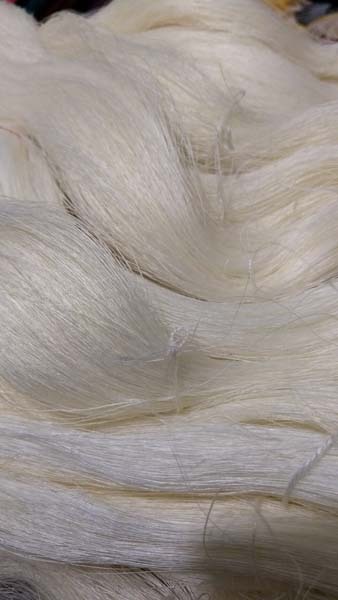 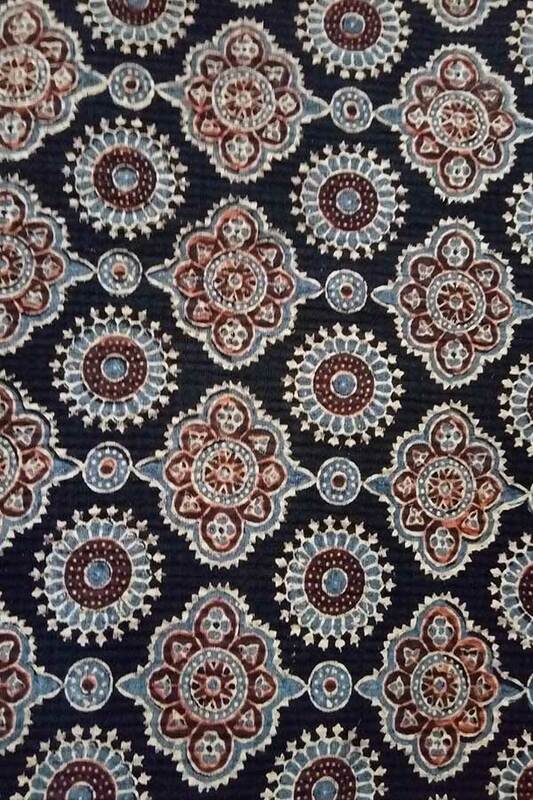 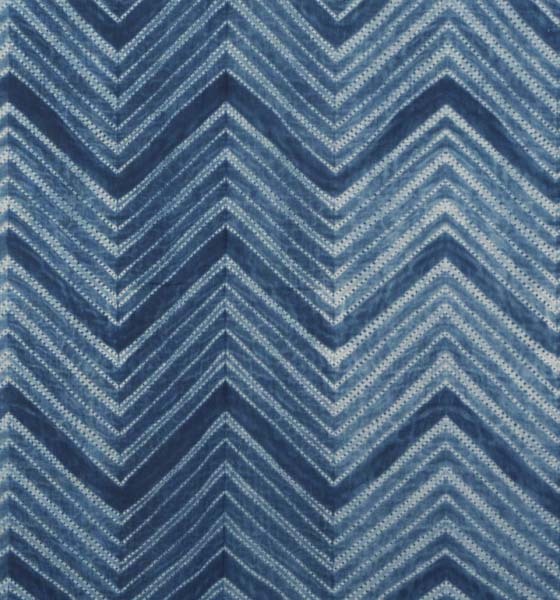 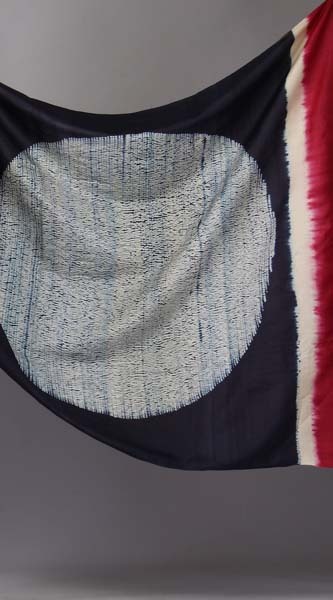 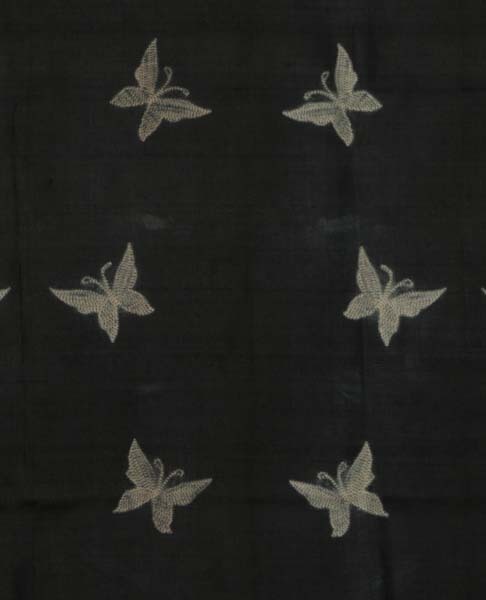 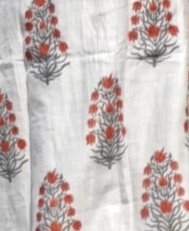 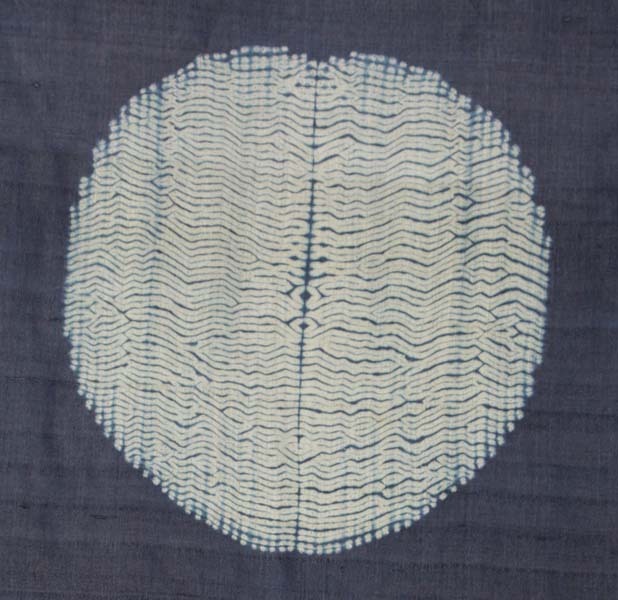 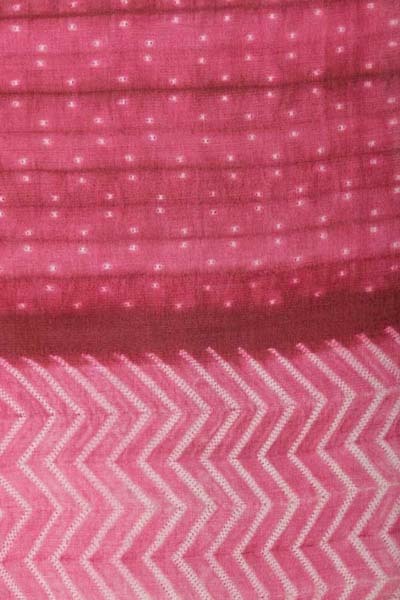 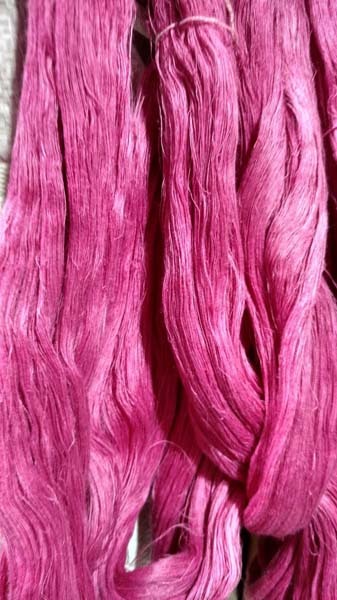 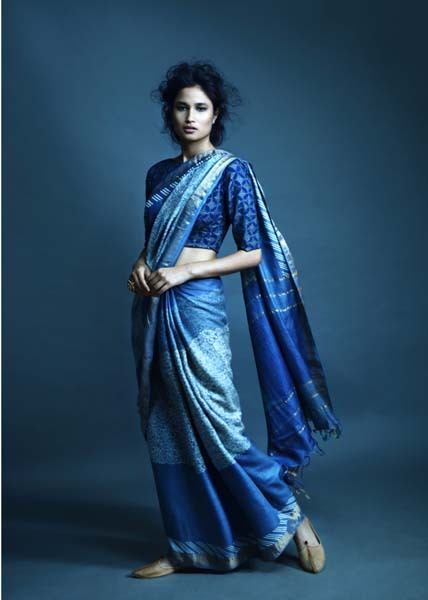 Shibori is used on fabrics made from natural fibres such as cotton, khadis, silks, tussars, linen, matka and Kanjivaram. 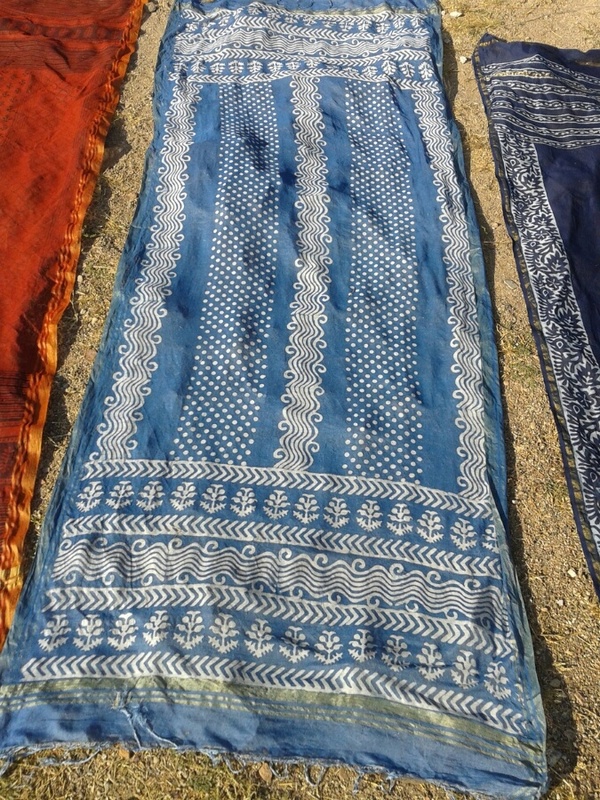 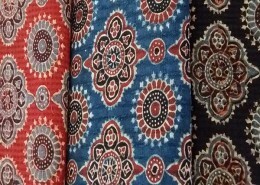 The label is about using traditional techniques such as hand block printing, hand dyeing and vegetable dyes in a contemporary fashion. 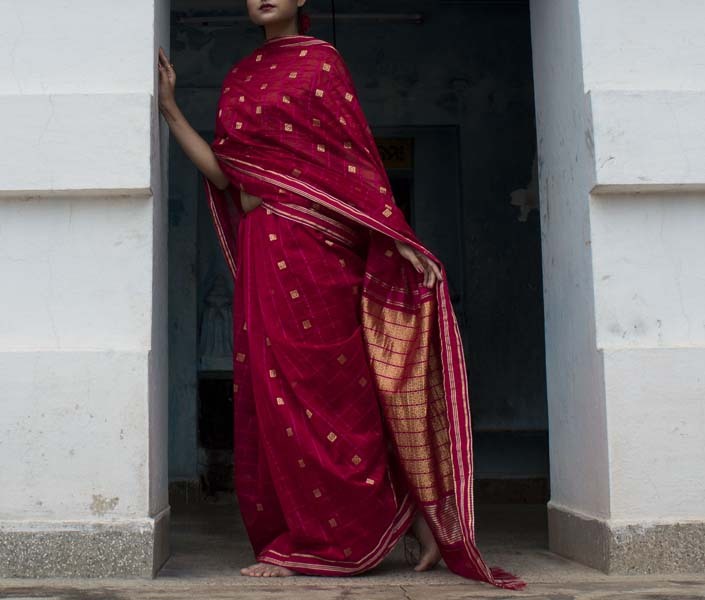 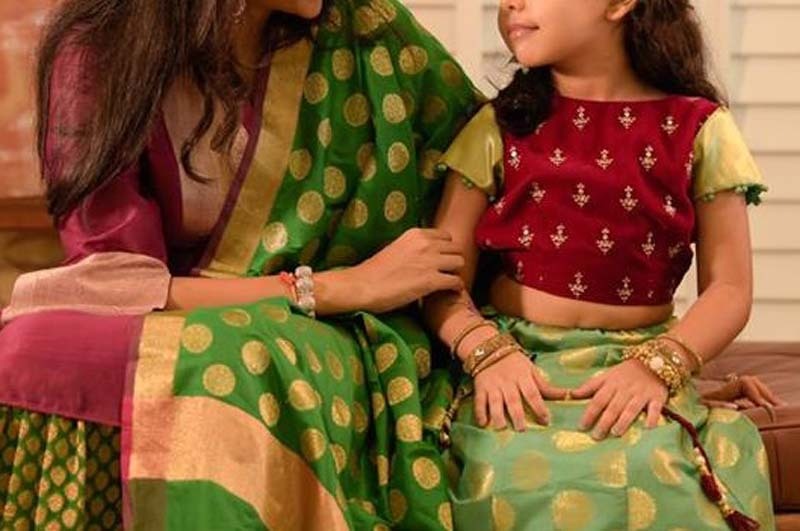 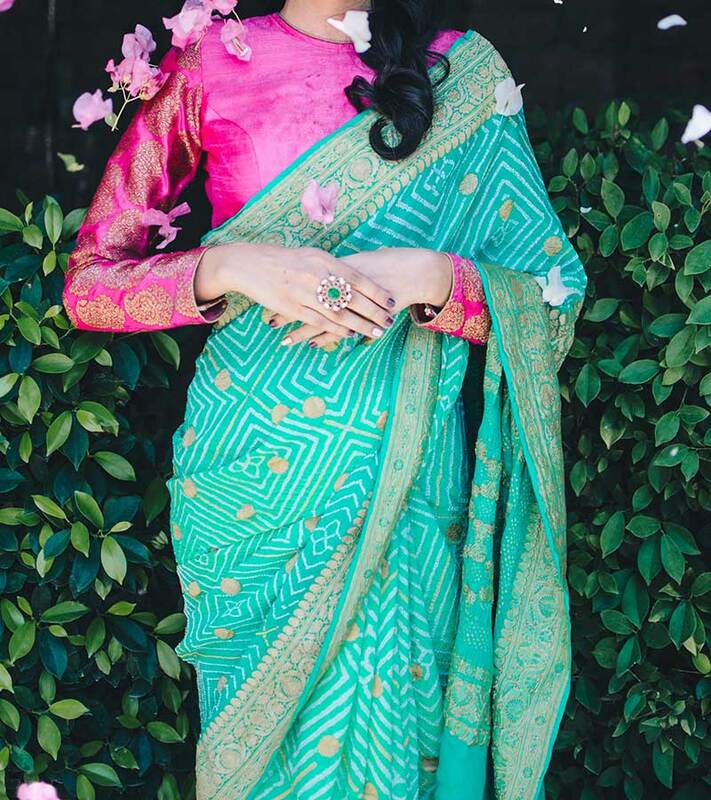 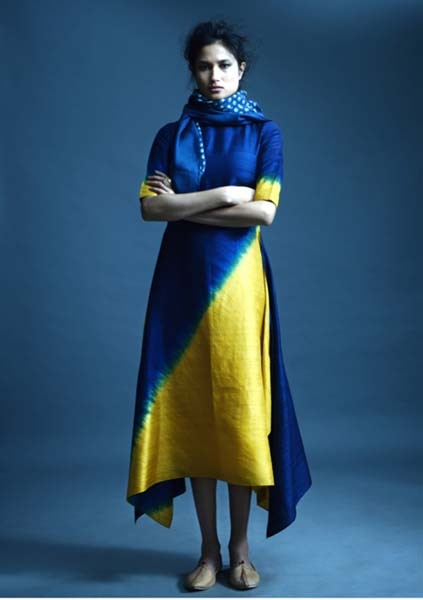 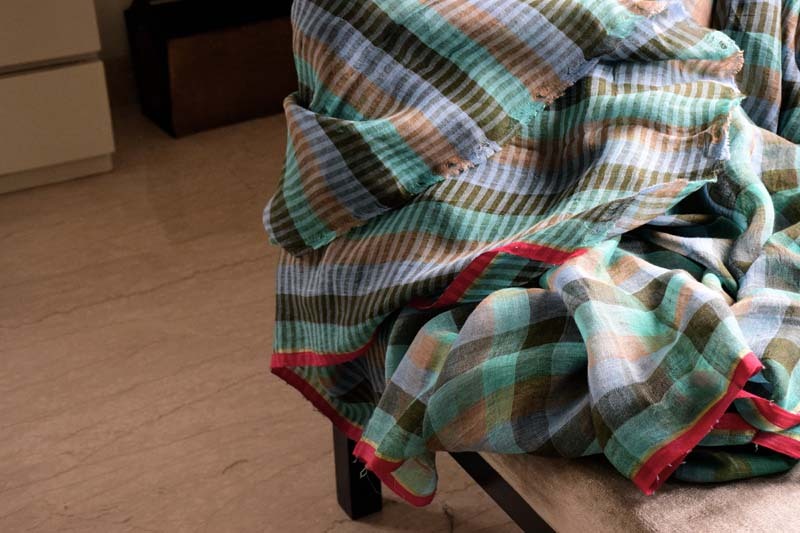 Their collection for Chennai is festive with a bright colour palette using Shibori technique, gota embroidery and kantha in their product line. 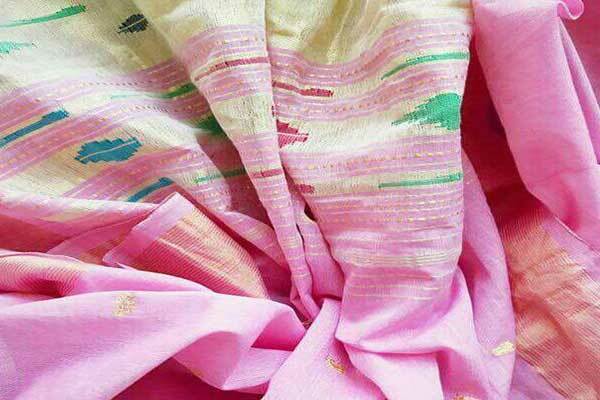 Brand Manas is about innovative contemporary – ethnic handmade sari and jewellery. 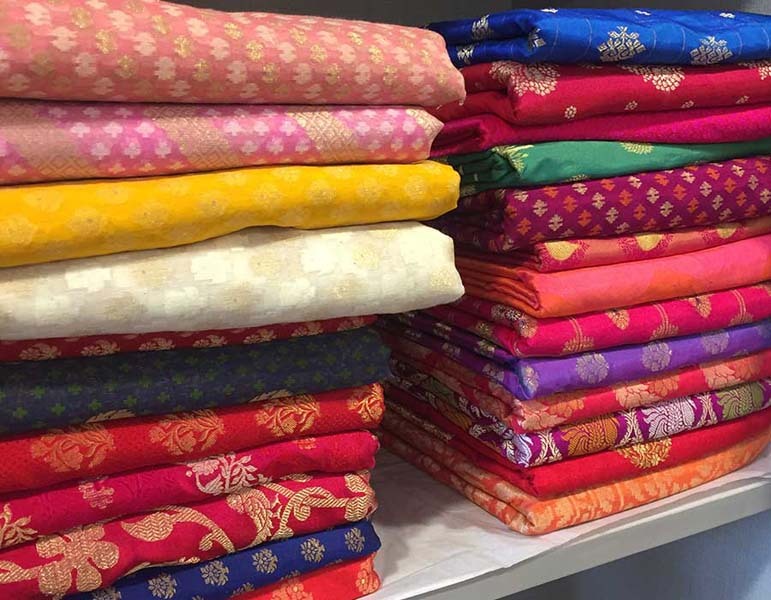 His collection on view includes contemporary batik, tribal ghamcha, Begumpuri and jamdaani saris: each a contemporary classic statement, reasonably priced. 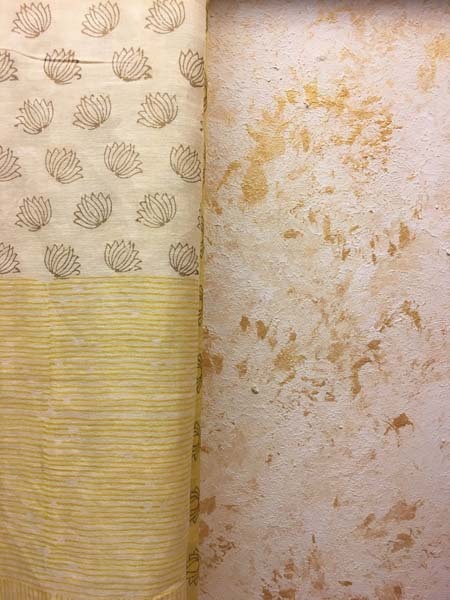 The KARA collection produced by Khatri Abdul Rahim Anwar comprises contemporary products like stoles, dupattas, saris, fabric in natural dye colour tones such as indigo, madder, black, green, yellow and grey tones on base fabrics like Mangalgiri cotton, and Chanderi silk cotton. 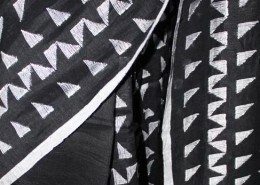 Mesmerising Ajrakh designs by Master artisan Khatri are combined with other block designs in the one-off pieces. 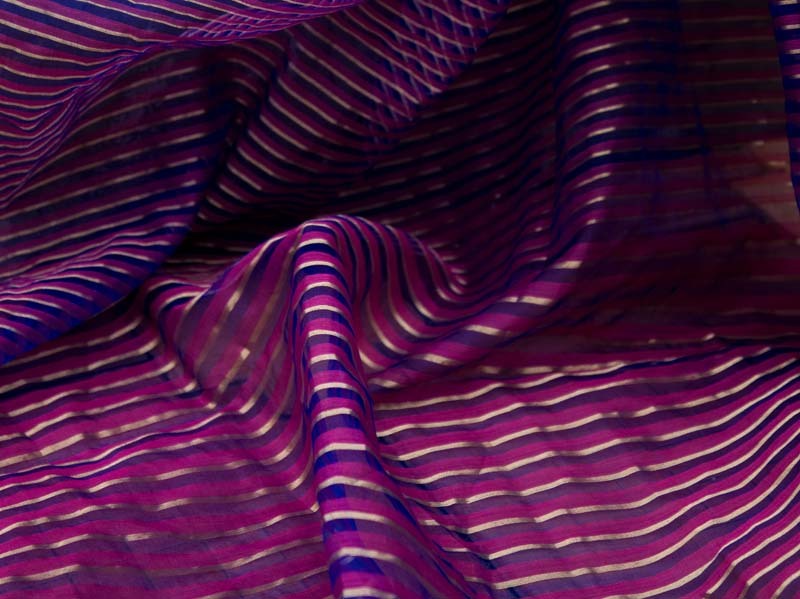 The complexity of design and the play of colours make each product a work of art. 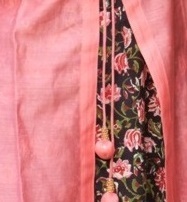 The Kameez line of stylish affordable ethnic wear includes handblock printed cottons and Chanderis with gota work. 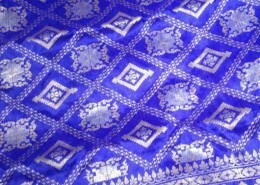 Originating in Persia, this (15th century) fabric can be woven with silk, wool, cotton or zari. 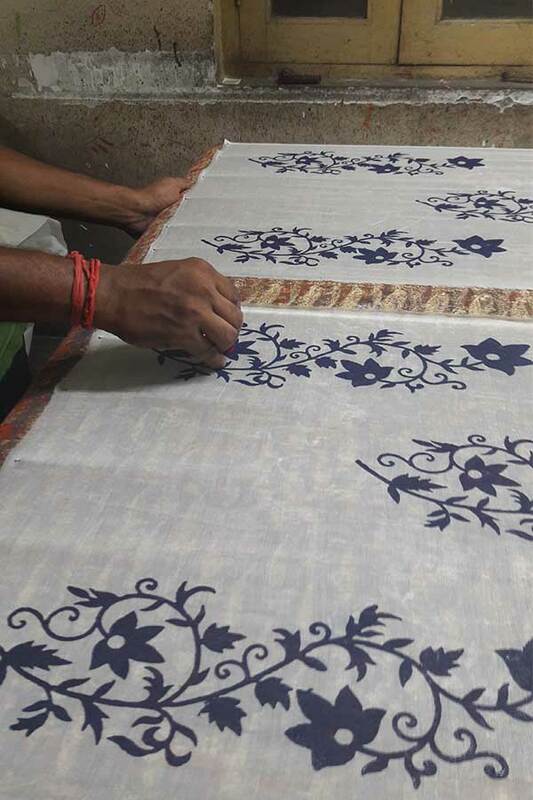 Incorporating geometrical patterns, Himroo’s design repertoire includes fruits like pomegranate, flowers like rose, lotus and jasmine, flowering creepers with leaves and stem which interlock to form intricate designs. 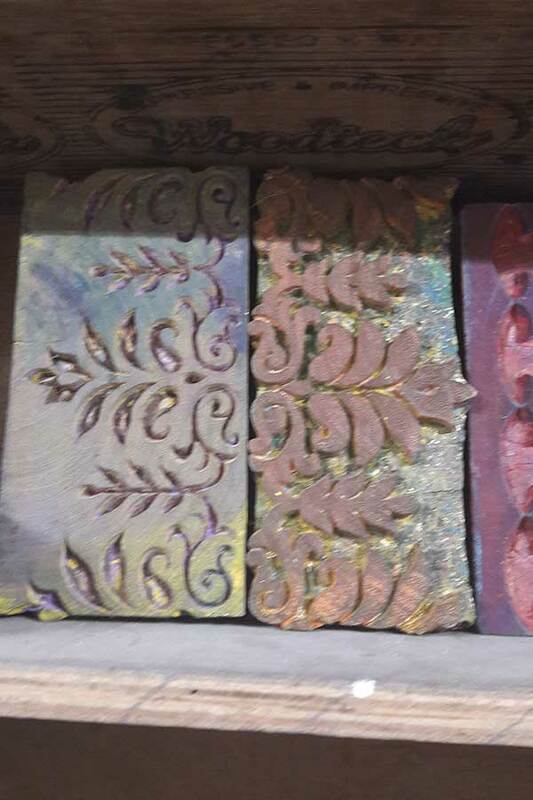 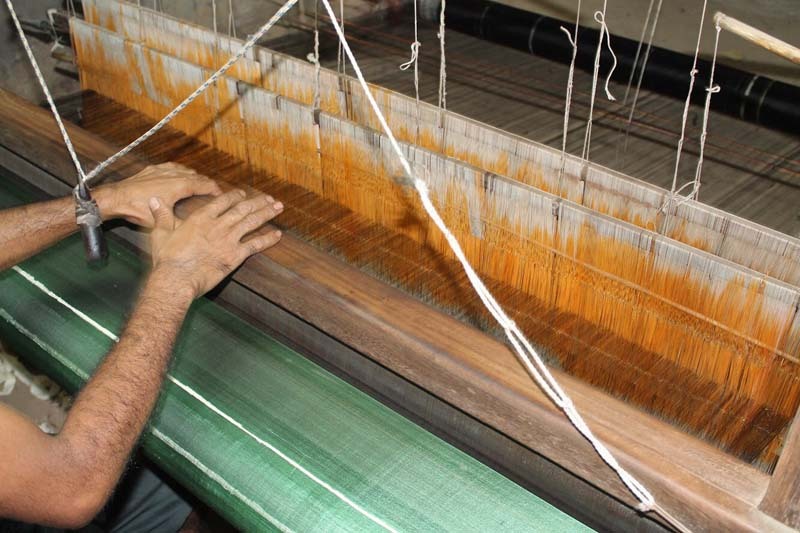 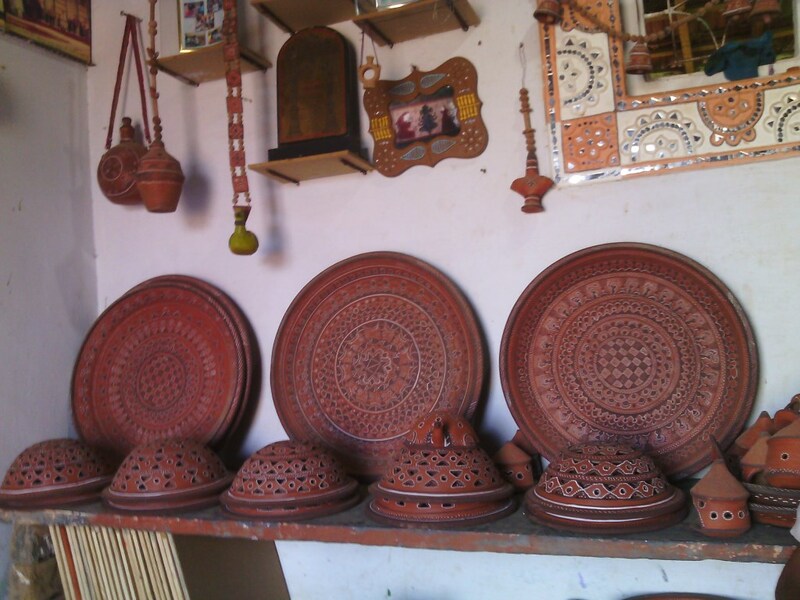 Now, a dying art, Faisal Qureshi’s family have revived the art of Himroo and Paithani in their weaving centre. 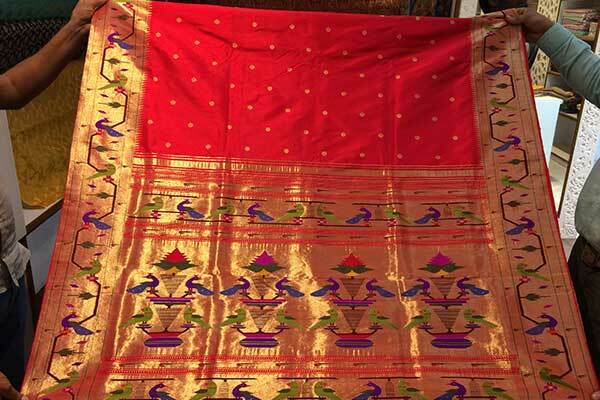 The best of their Himroo and Paithani saris will be showcased at the show. 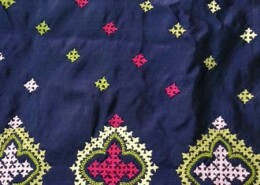 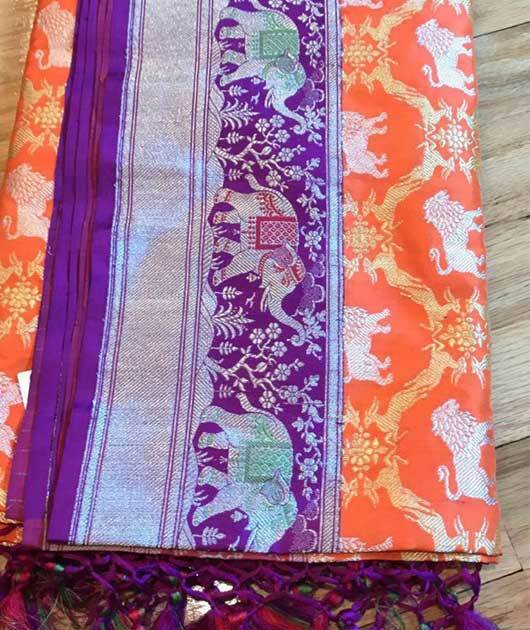 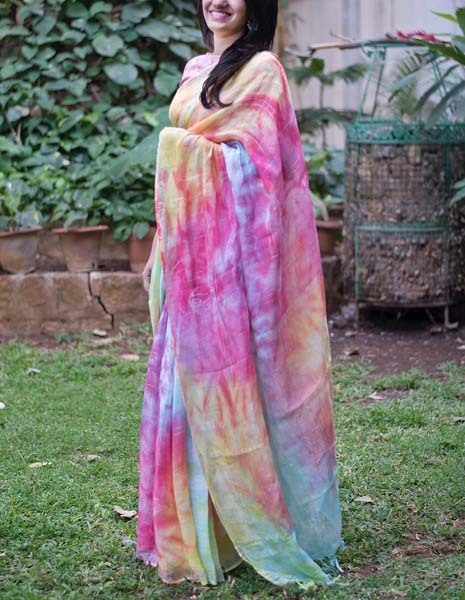 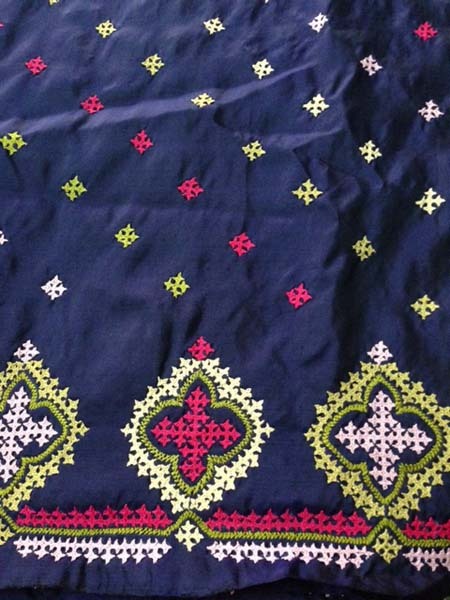 Bidisha specialises in contemporary Kantha and Batik saris, dupattas and stoles. 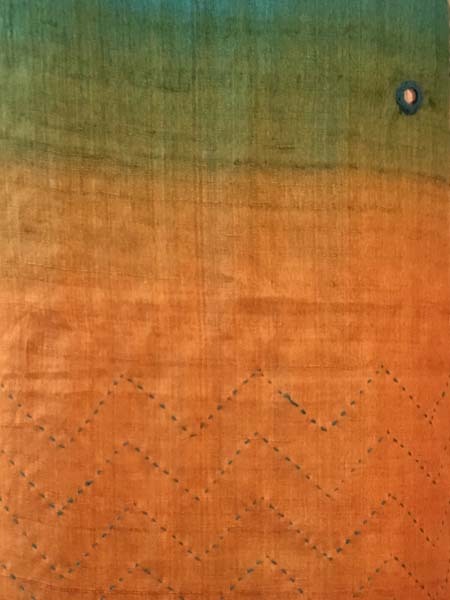 Her forte is Kantha work on tussar saris. 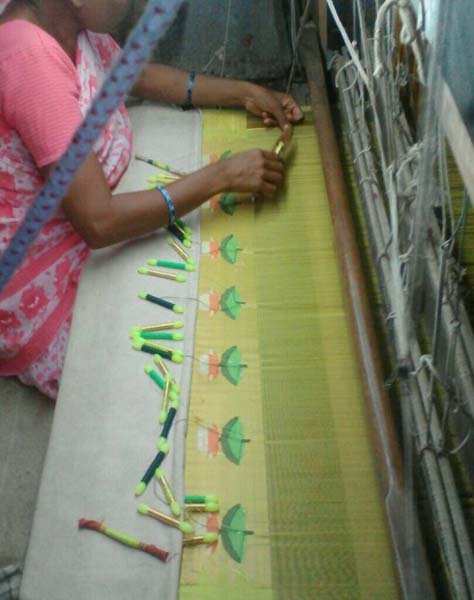 This year she has worked with Bishnupur weaves from Bengal and presents a lot of innovative vibrant silks. 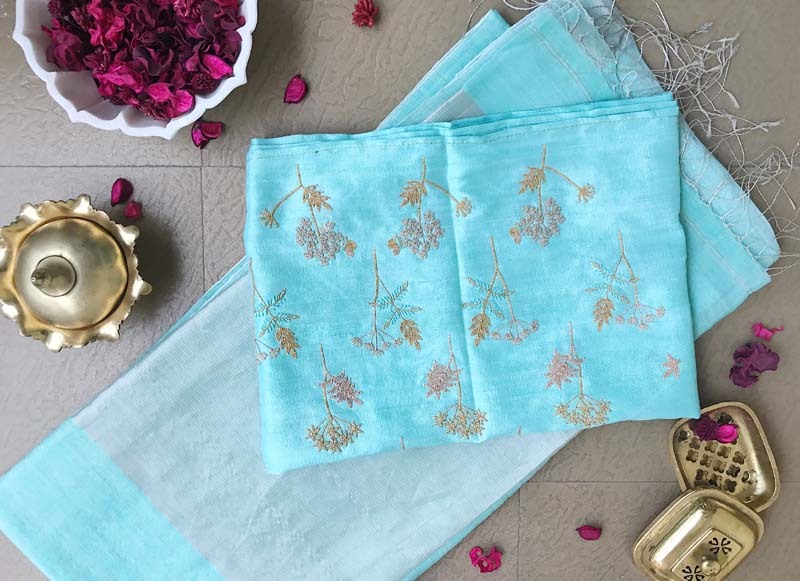 Melding traditional Indian aesthetics with modern sensibilities, Avni’s products are made with organic fabrics, vegetable dyes, block prints inspired by India’s traditional crafts. 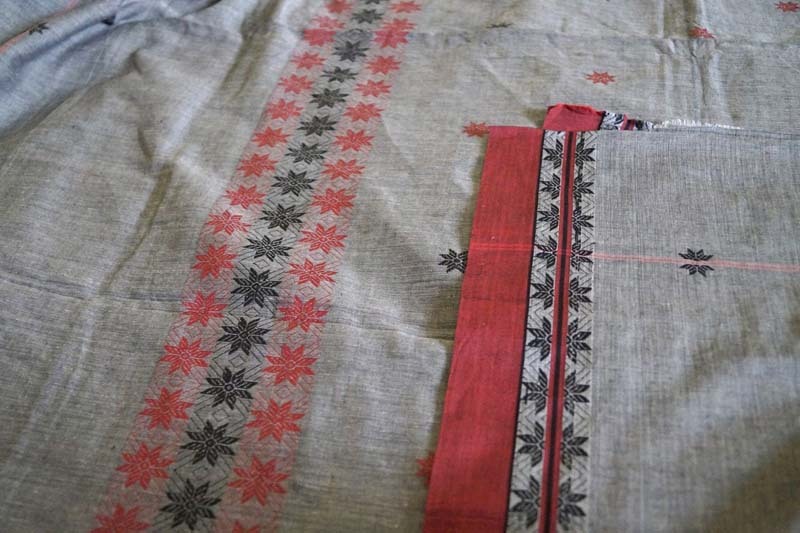 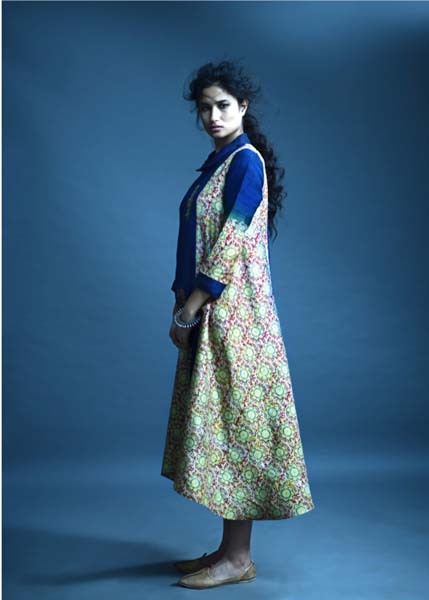 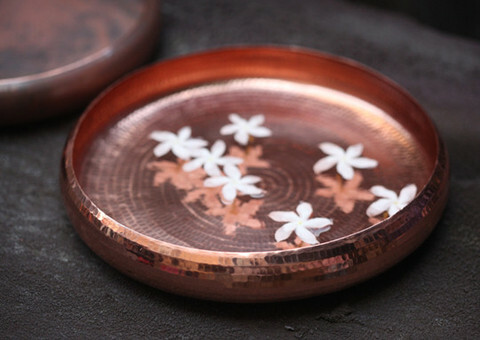 Look out for hand block printed tussar, silk tunics and saris, each a one-off piece. 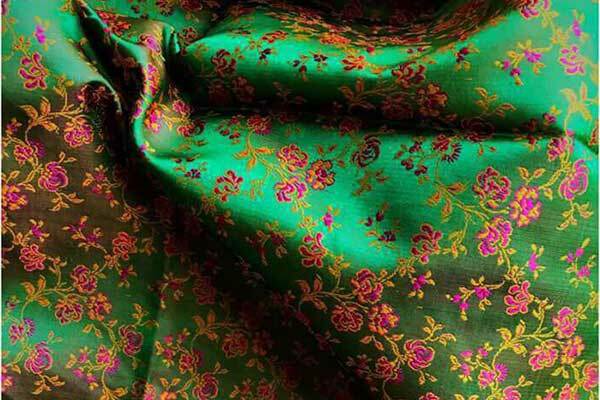 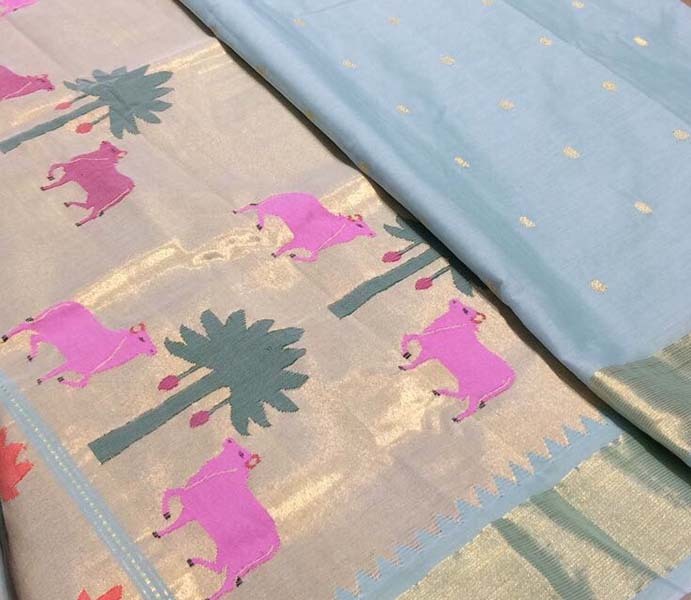 Abha Dalmia works on the revival of the lyrical weaves and motifs of the fabled Benares silk saris in muted shades of greens, maroons, pinks and greys. 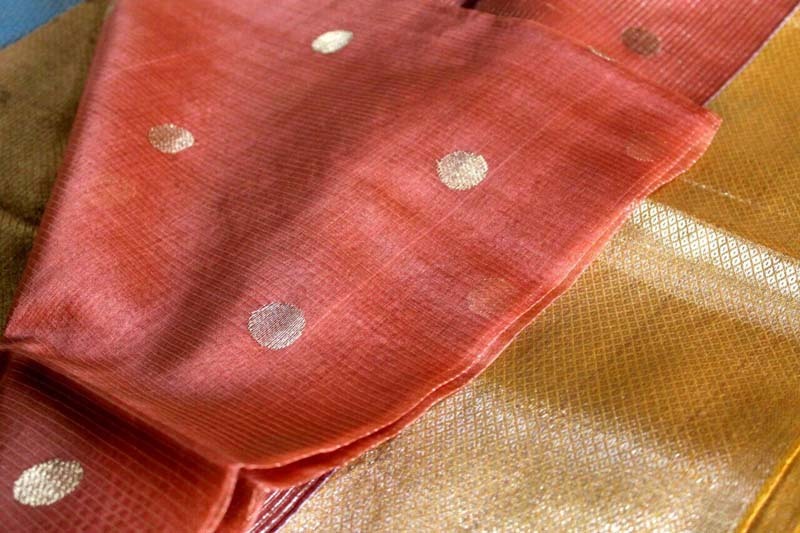 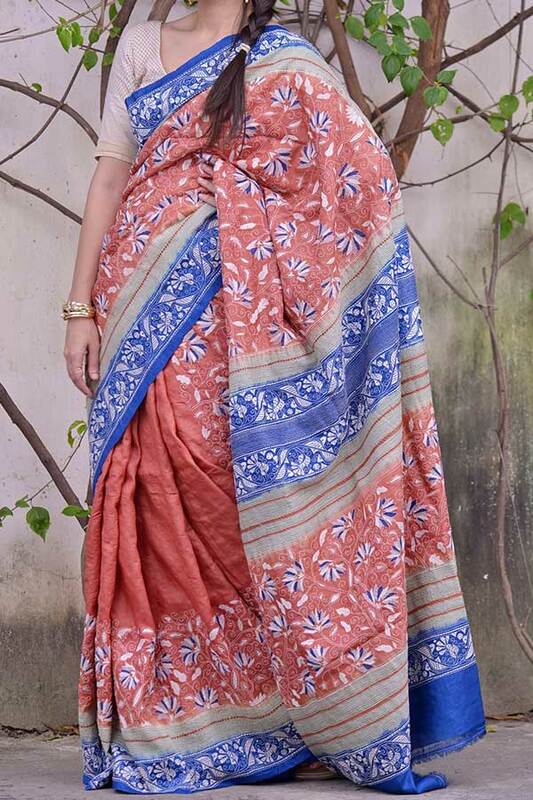 The textured saris have floral designs, badlawork and zari. 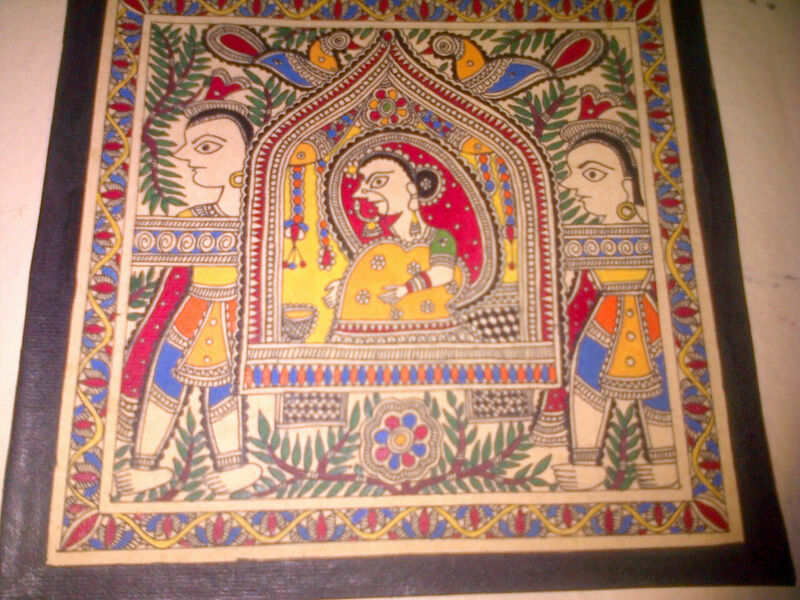 On display are her ghagras with ‘Kali’ art. 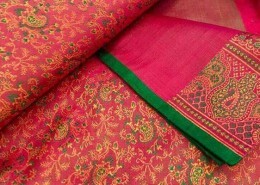 Her fabrics can be a mix of tanchoi with brocade or georgette with jute. 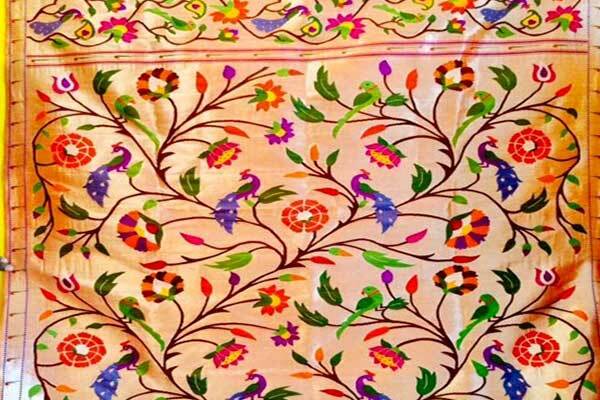 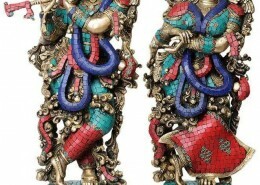 of brocades, colours and designs will be on display.